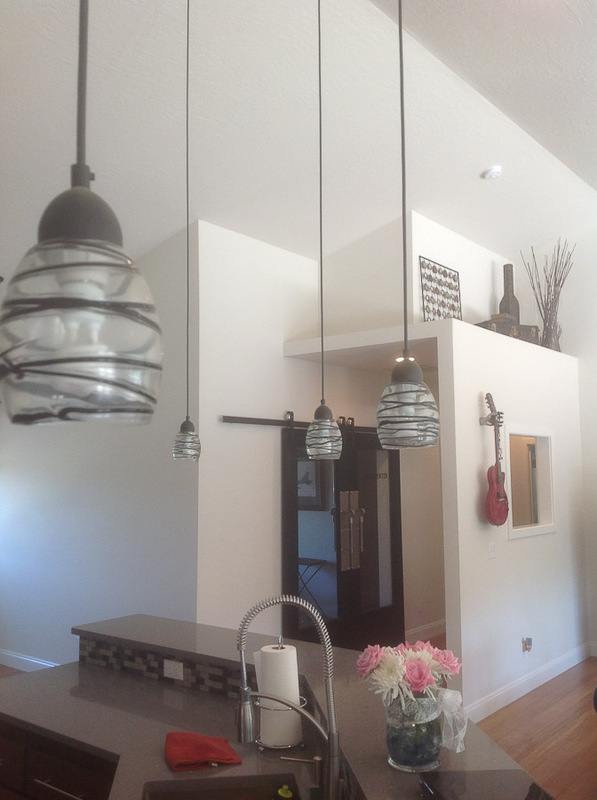 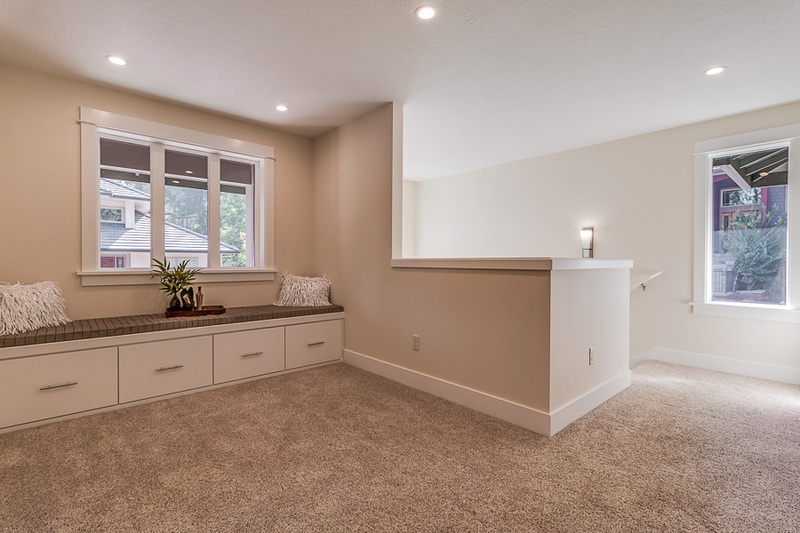 This project was a great, simple design that created an incredible amount more useful space for the family that hired us. 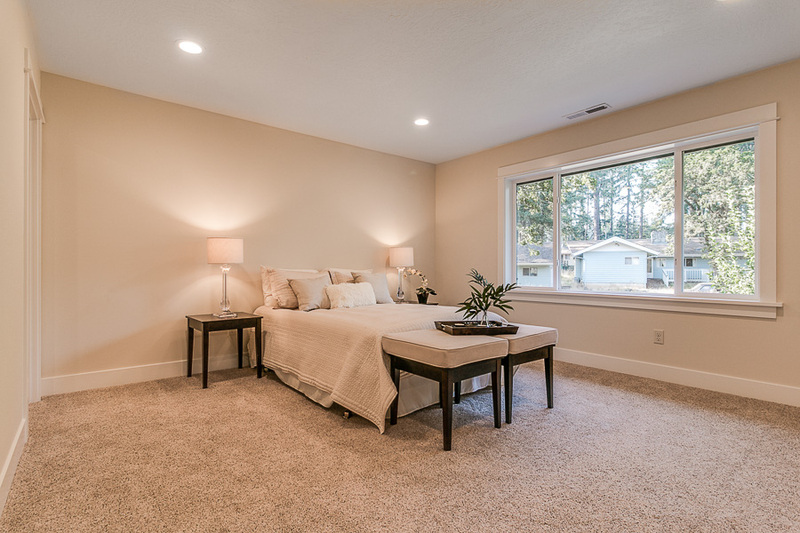 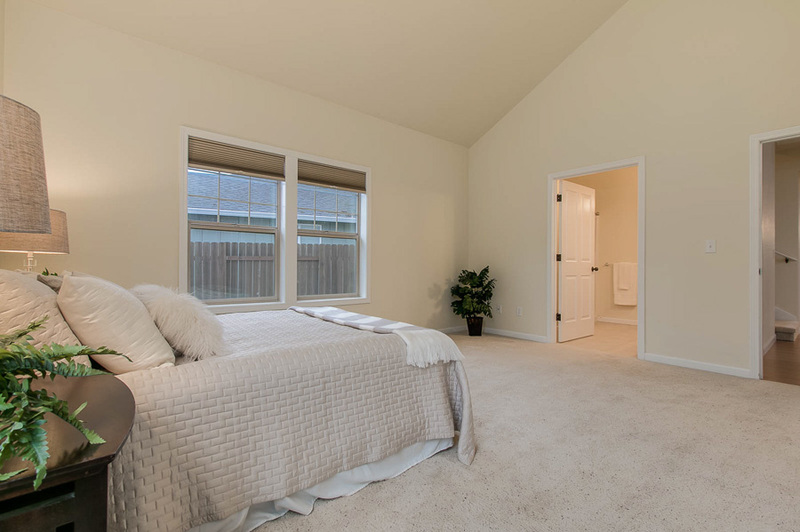 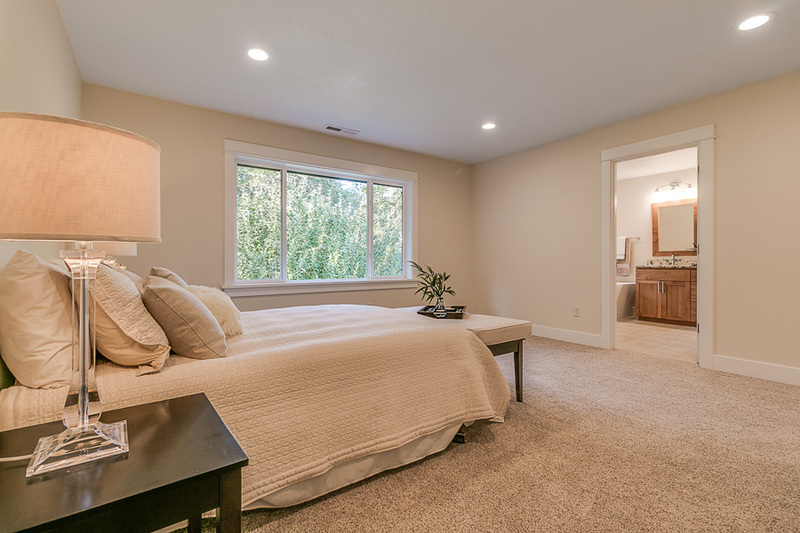 The addition consisted of a new master bedroom suite with walk-in closet. 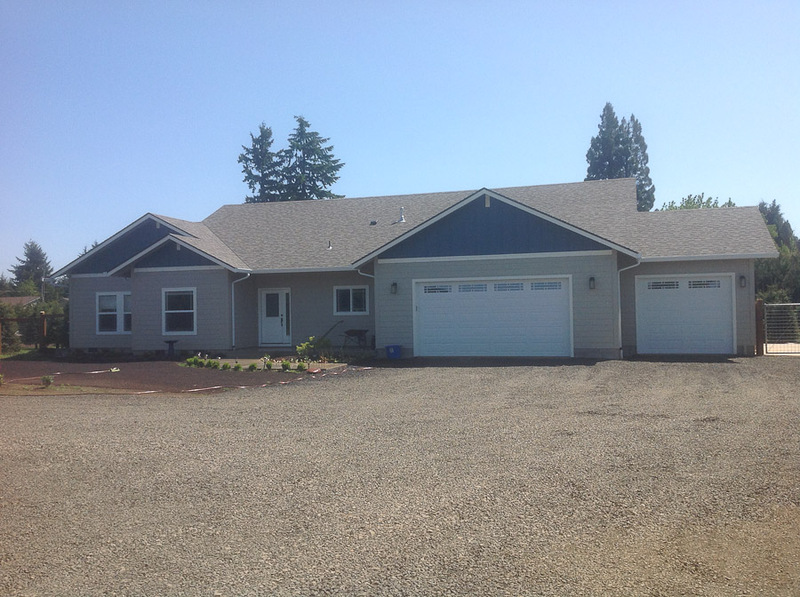 A remodel of the existing house was required to access the new addition. 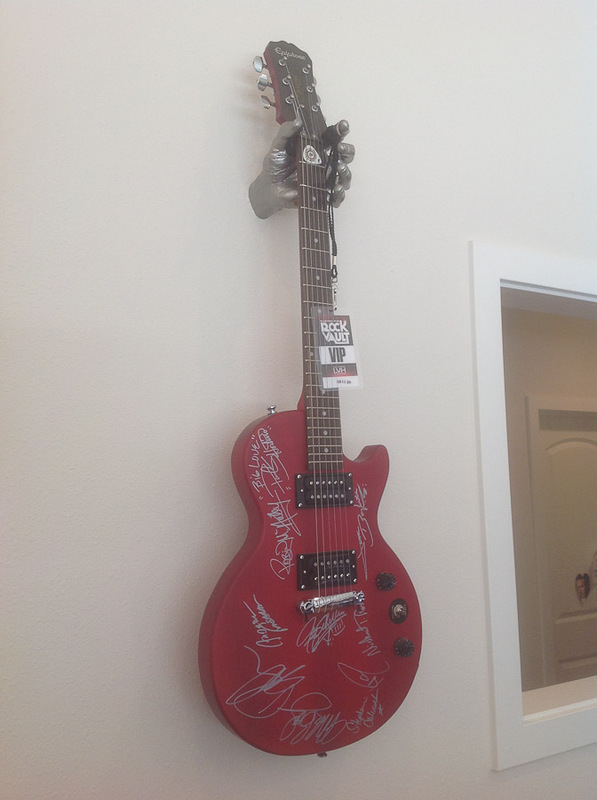 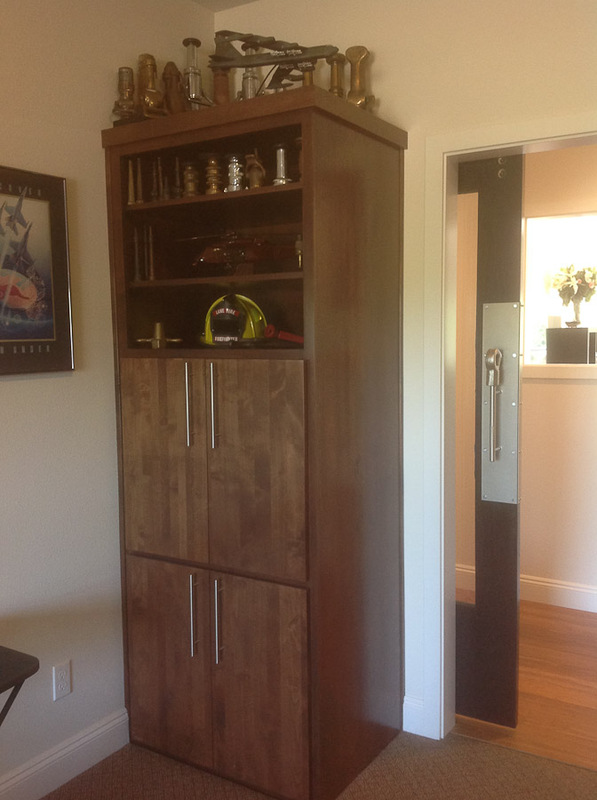 This was accomplished by building a new hallway through the old master bedroom. 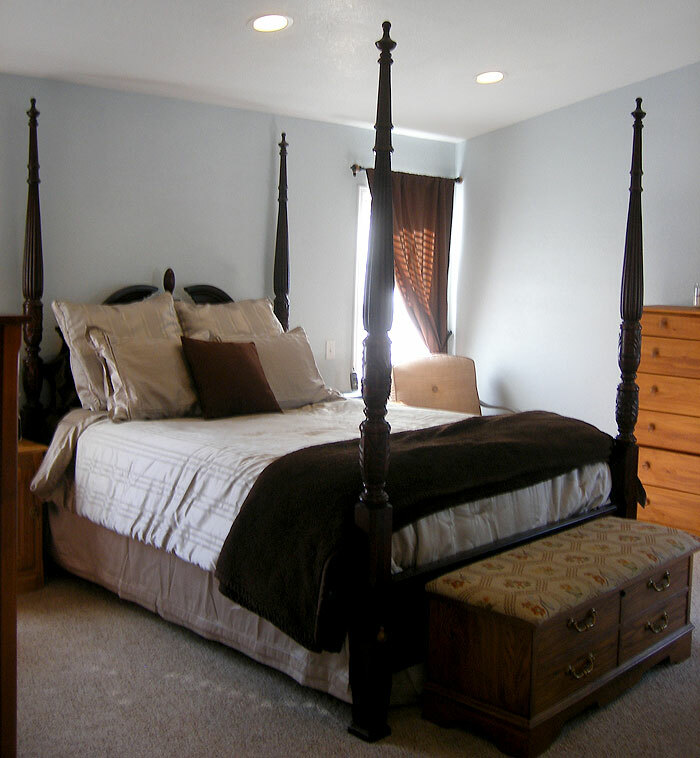 This left a still nicely sized bedroom out of the old master, and ended up turning a small old office into a good sized additional bedroom. 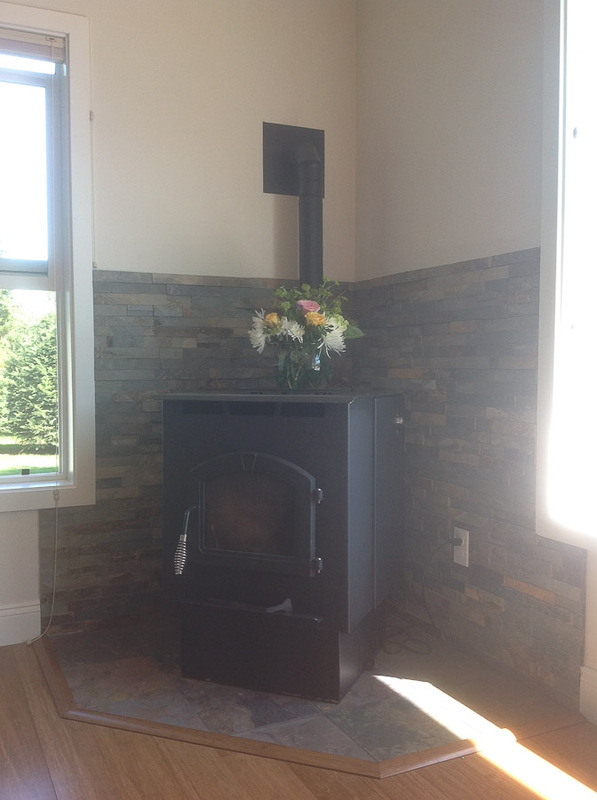 This was all due to good planning. 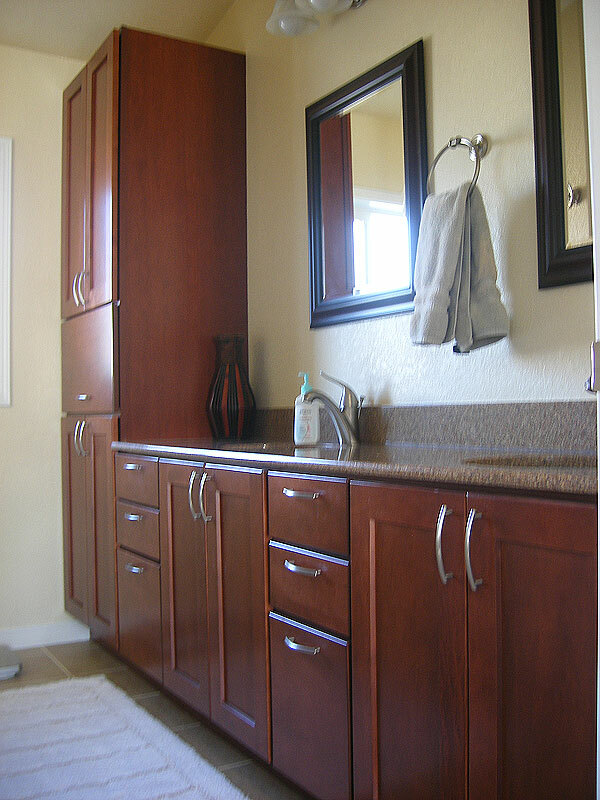 The family essentially added two bedroom and a new bathroom to their house. 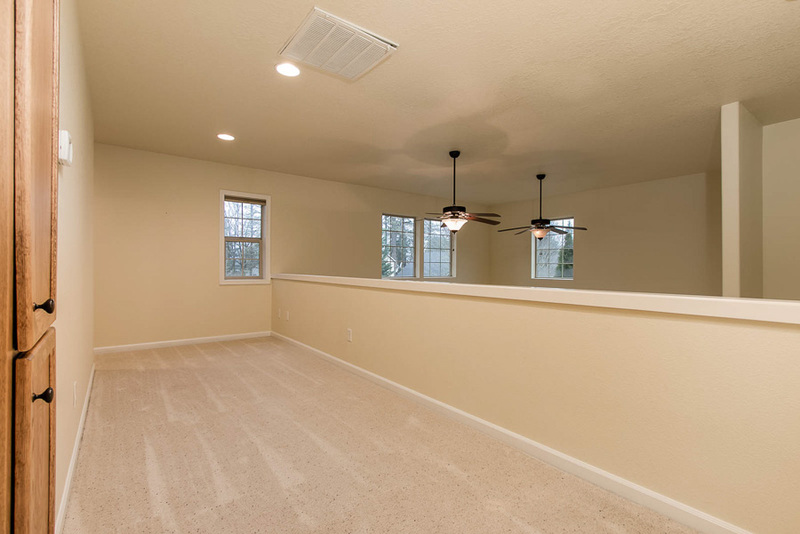 They are thrilled with the results. 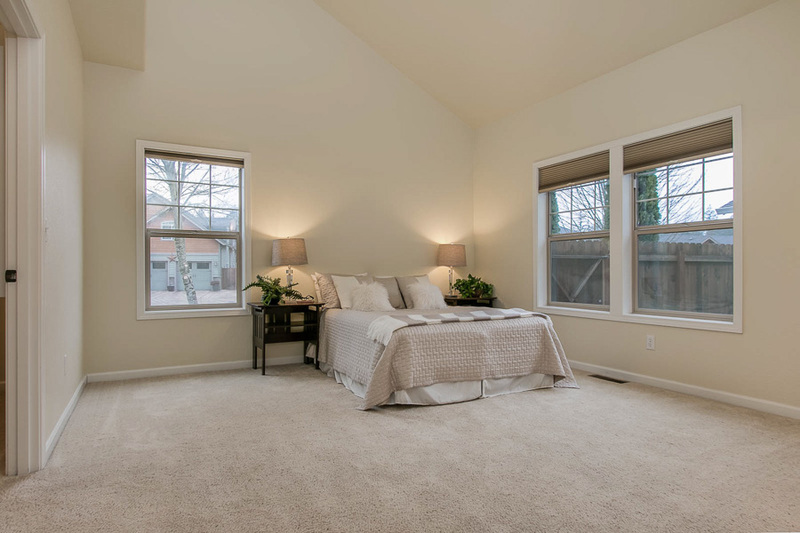 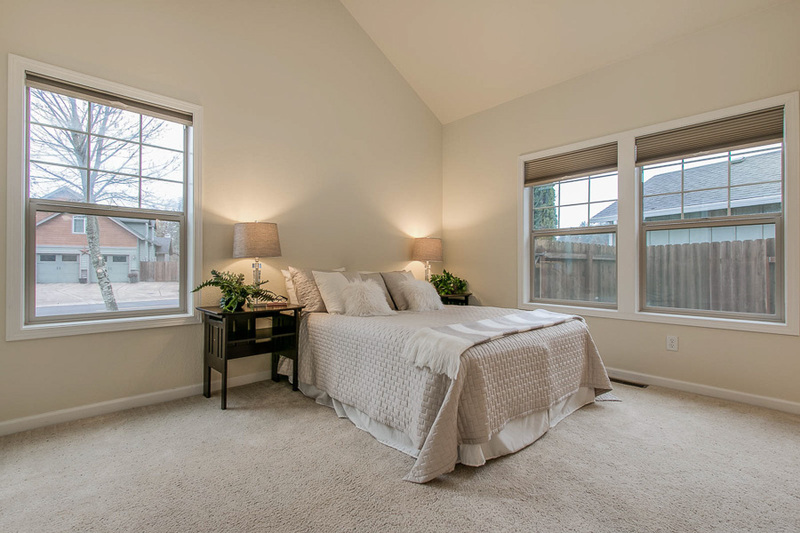 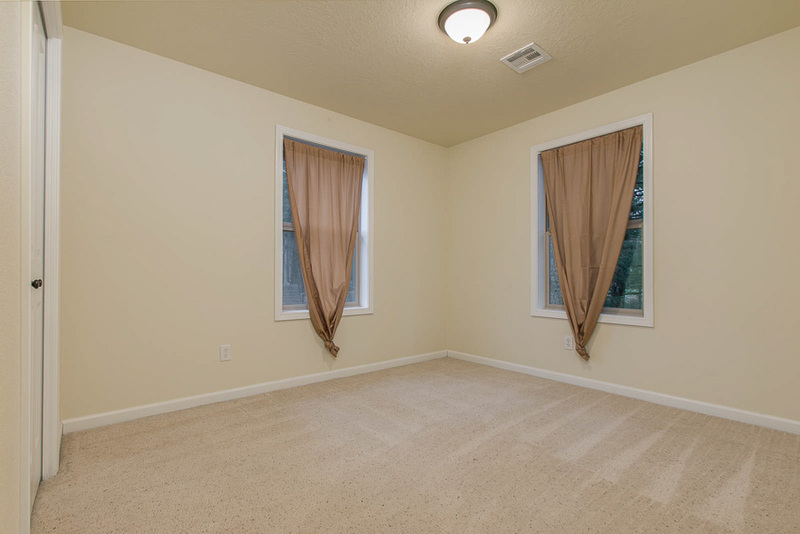 Homeowner quote: "Our new bedroom space is like a retreat every time we enter it. 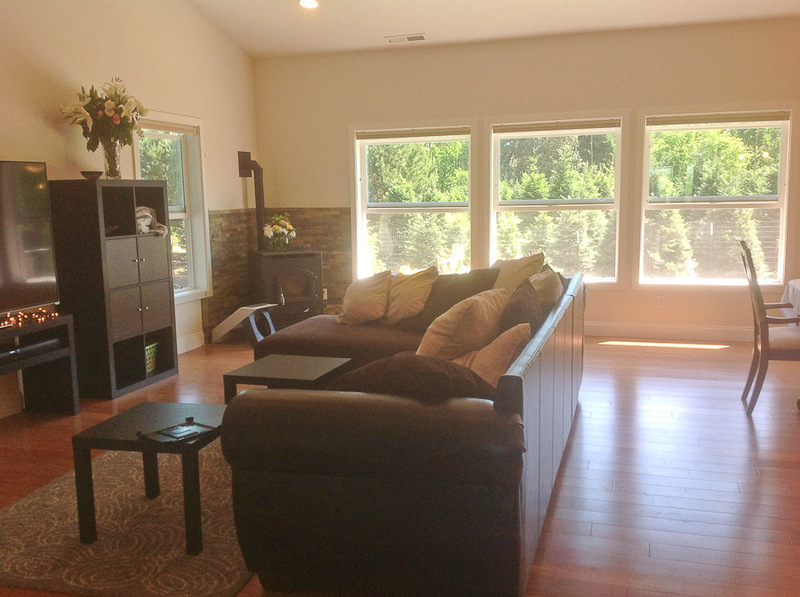 This addition was well worth the investment." 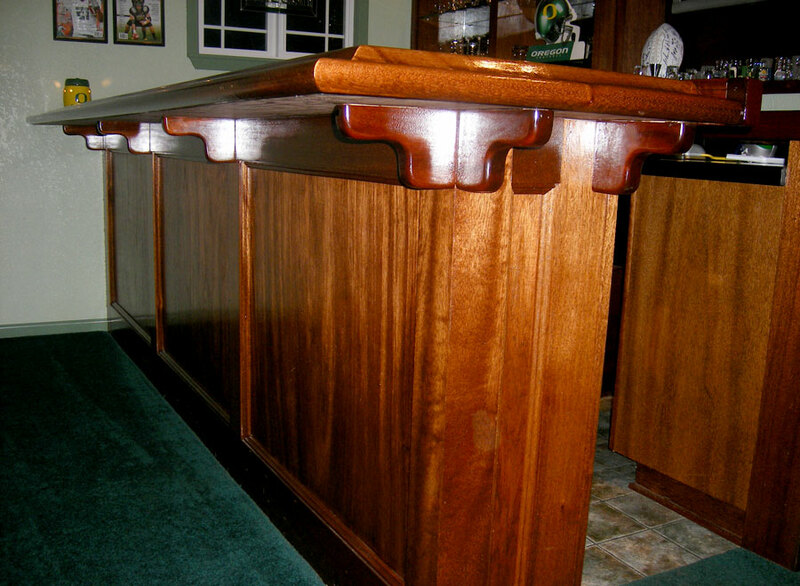 We built the bar for the homeowner when they bought the house, and they love it. 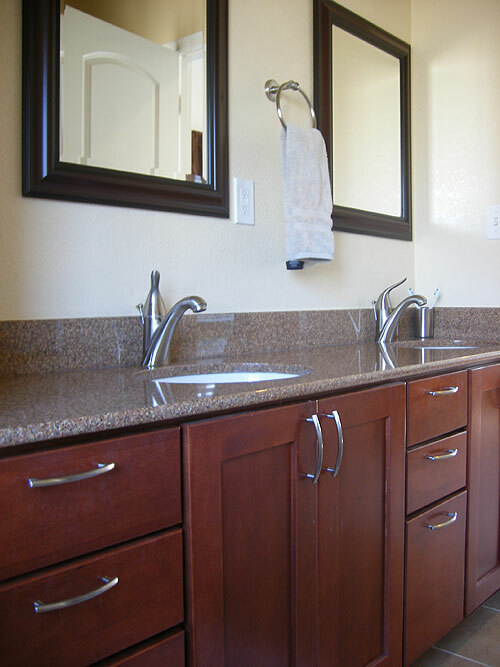 It is made from three different types of mahogany; African, Philippine and Honduran. 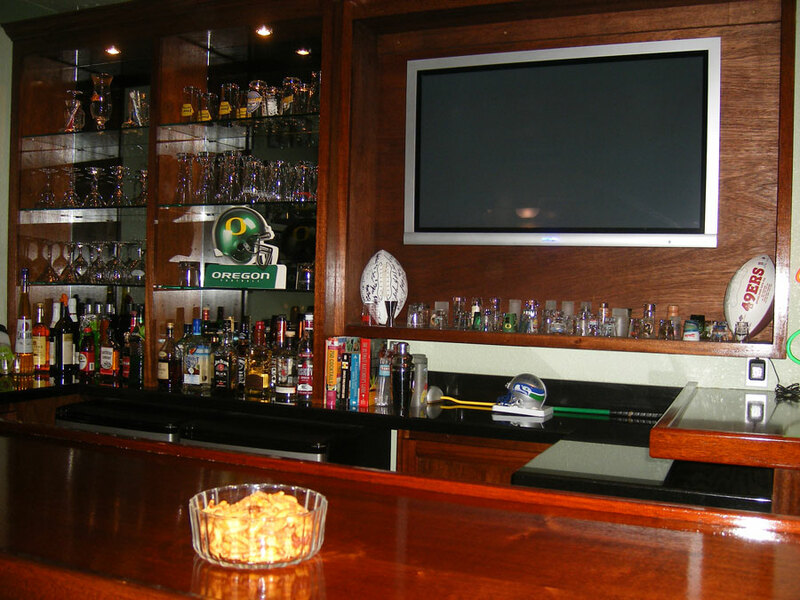 They use it regularly to entertain. 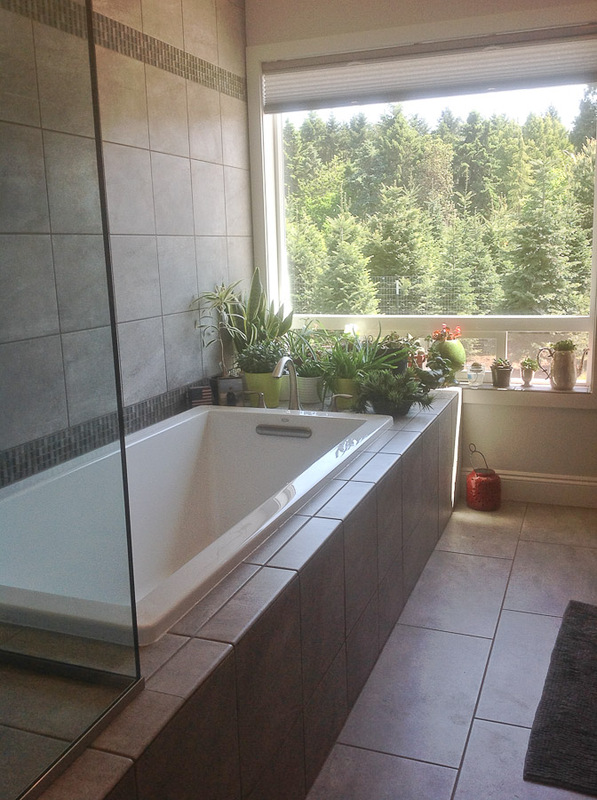 The owners later called us back to remodel their main bathroom. 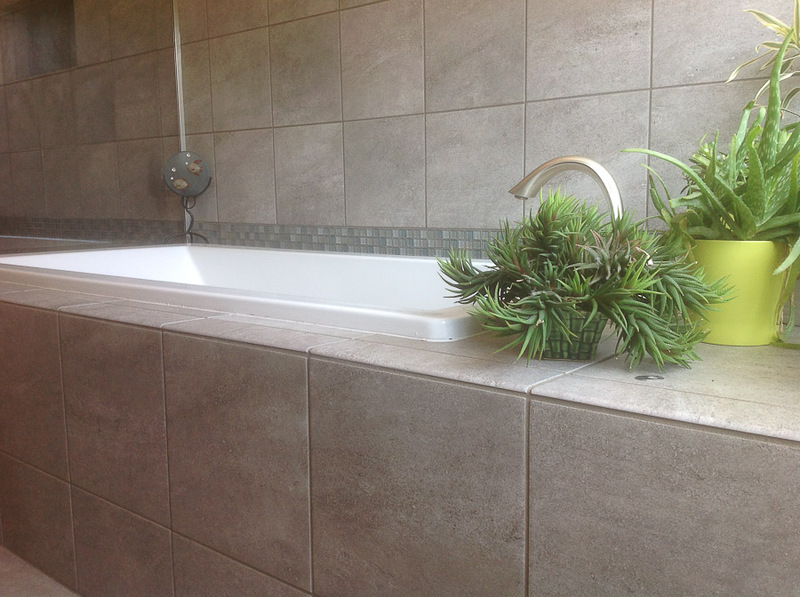 We used travertine on the floors and shower surround, slate on the counters with inlaid stone backsplashes bordered by more slate. 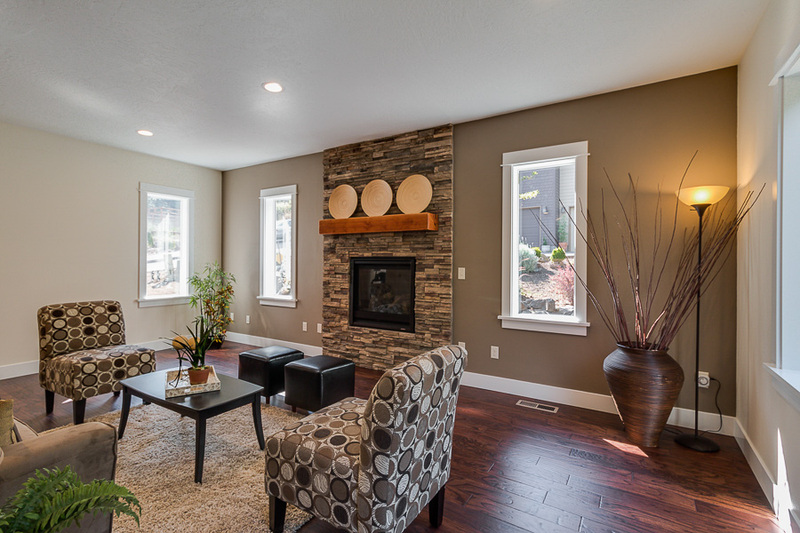 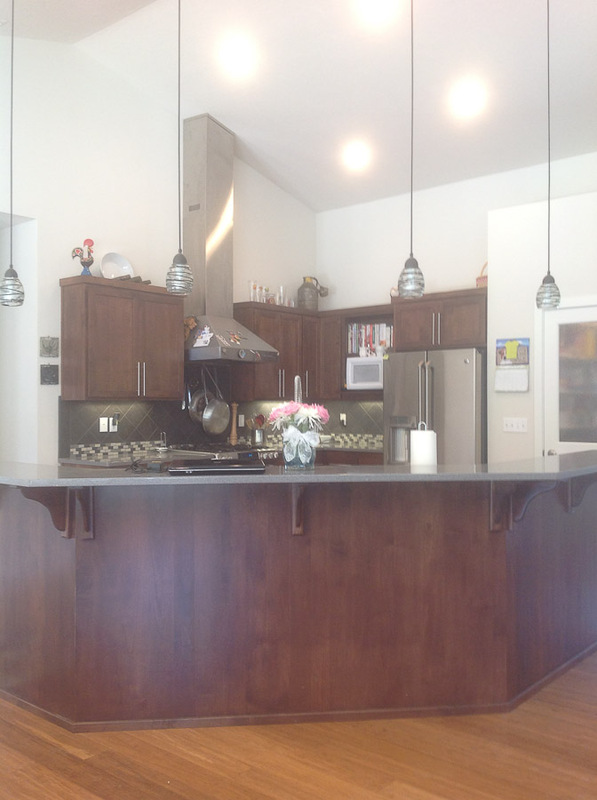 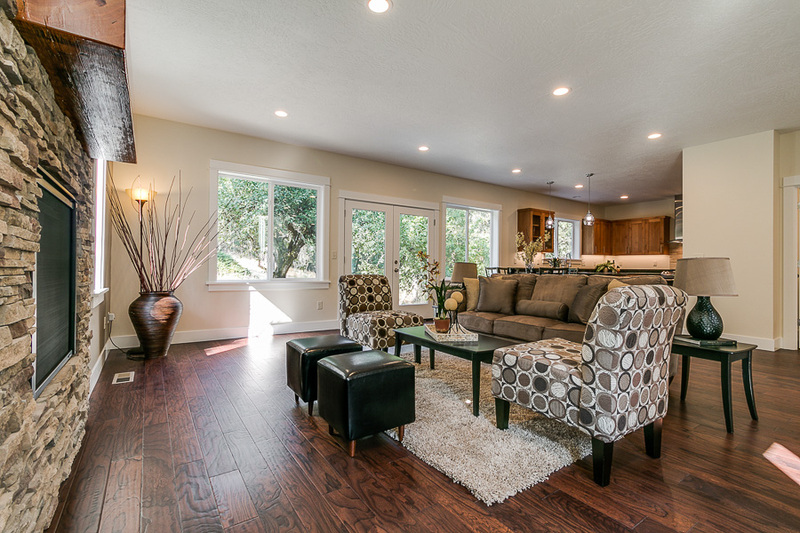 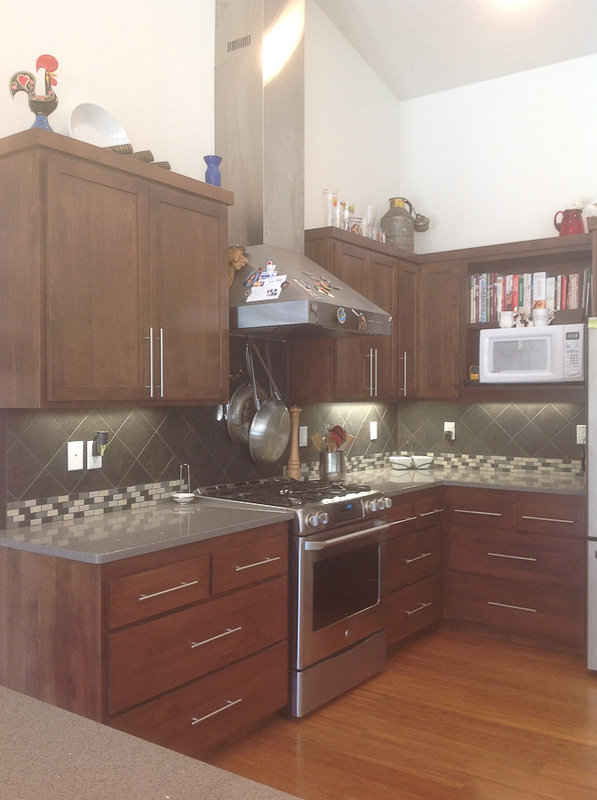 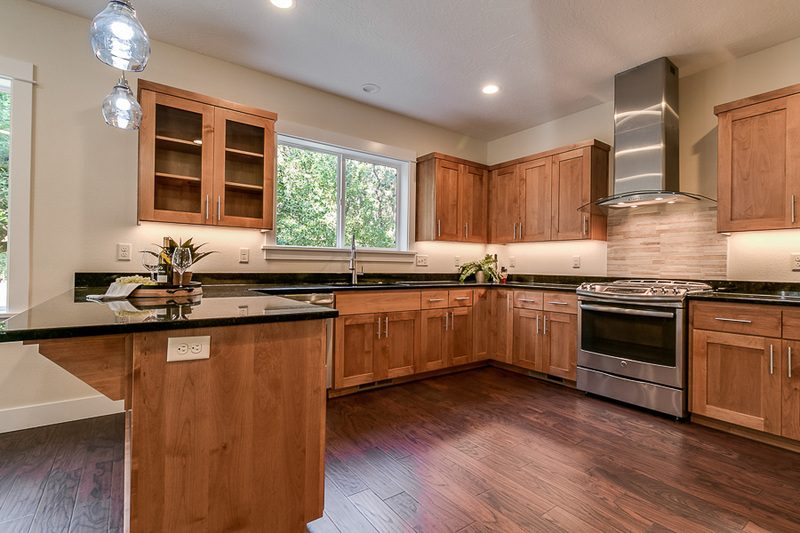 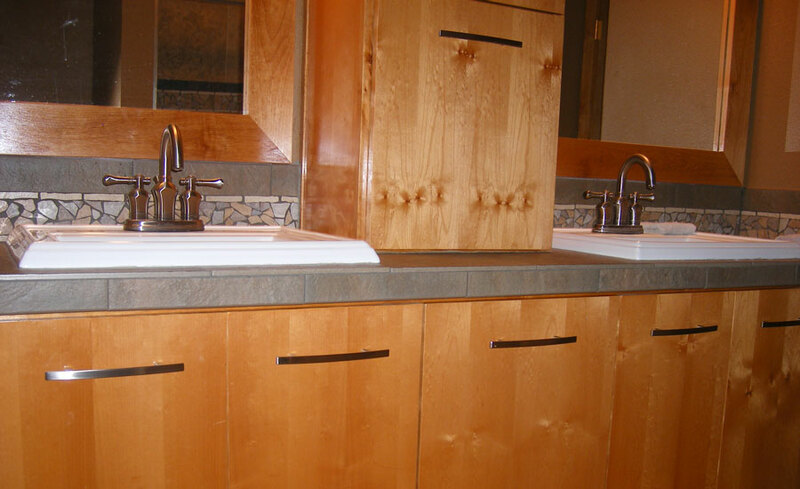 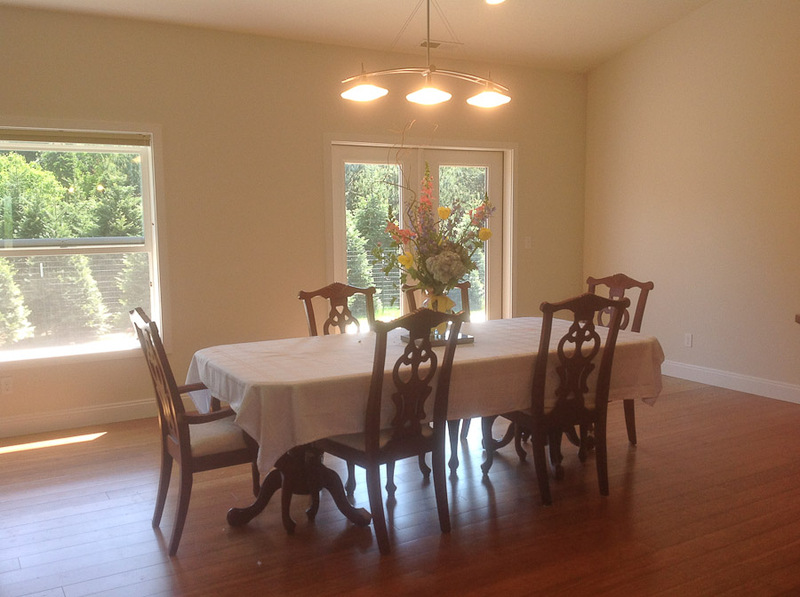 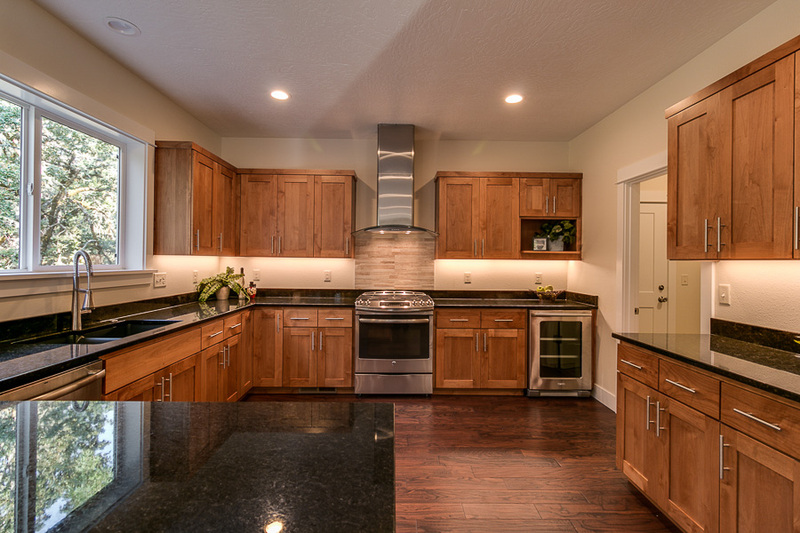 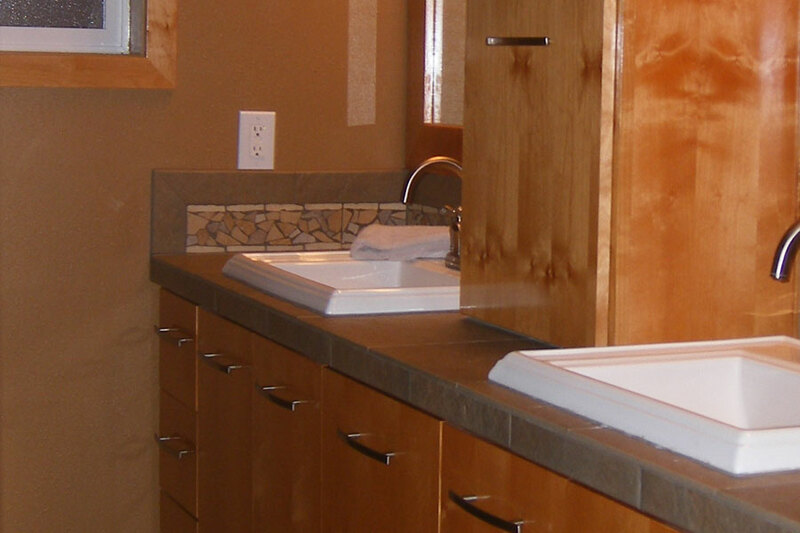 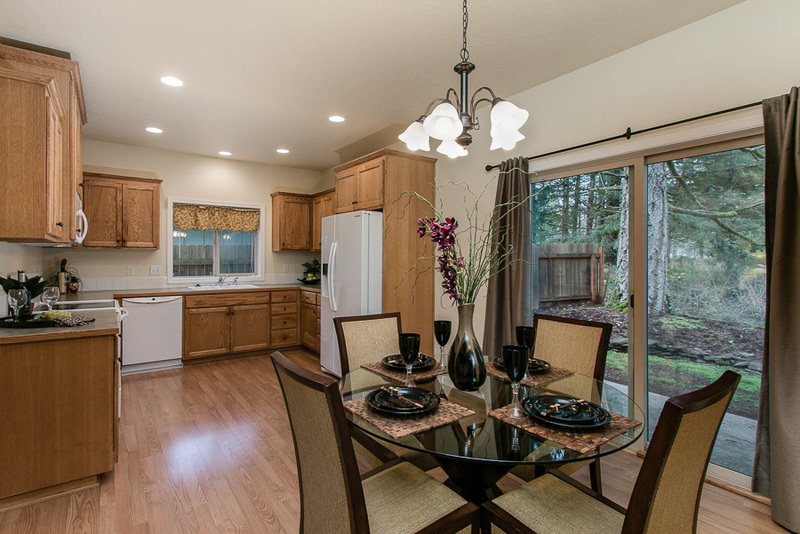 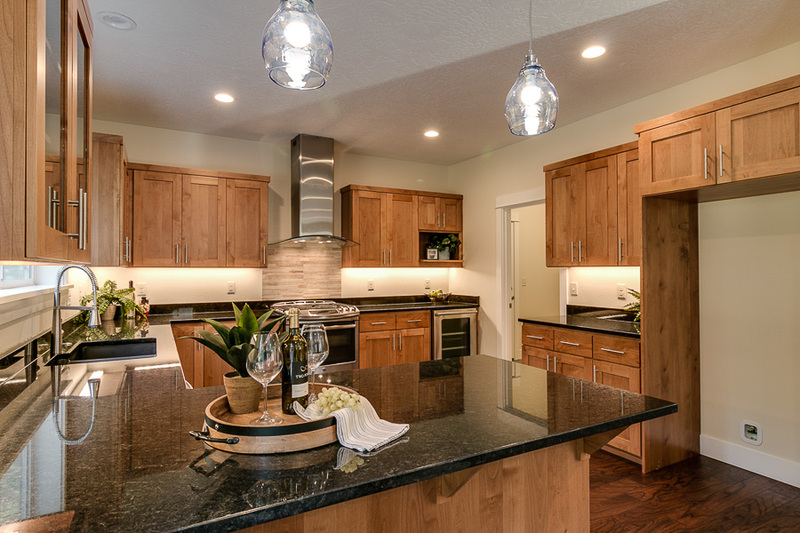 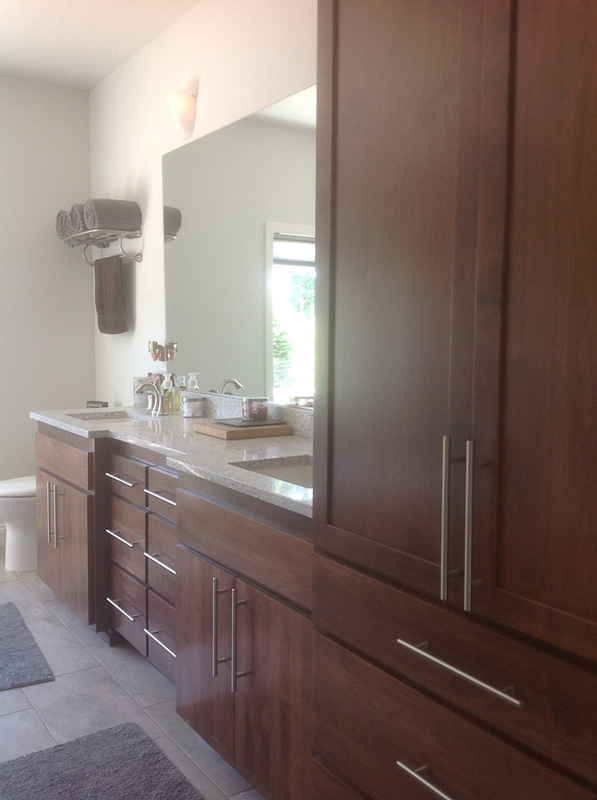 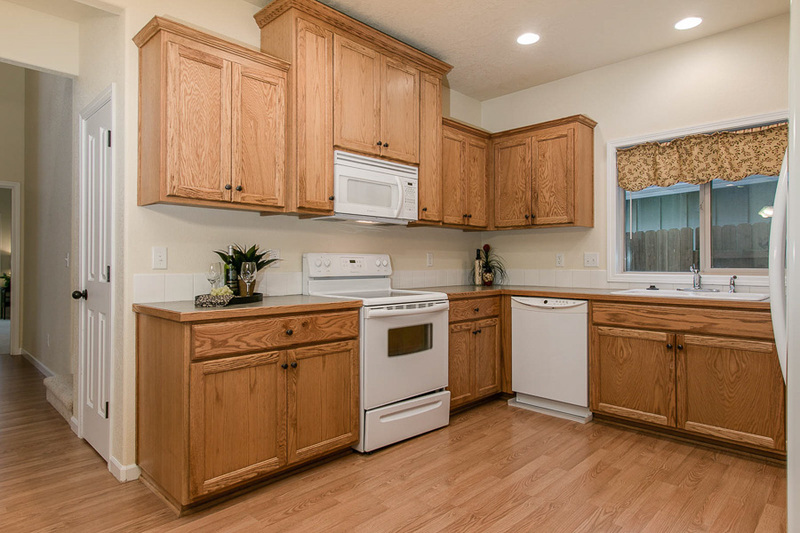 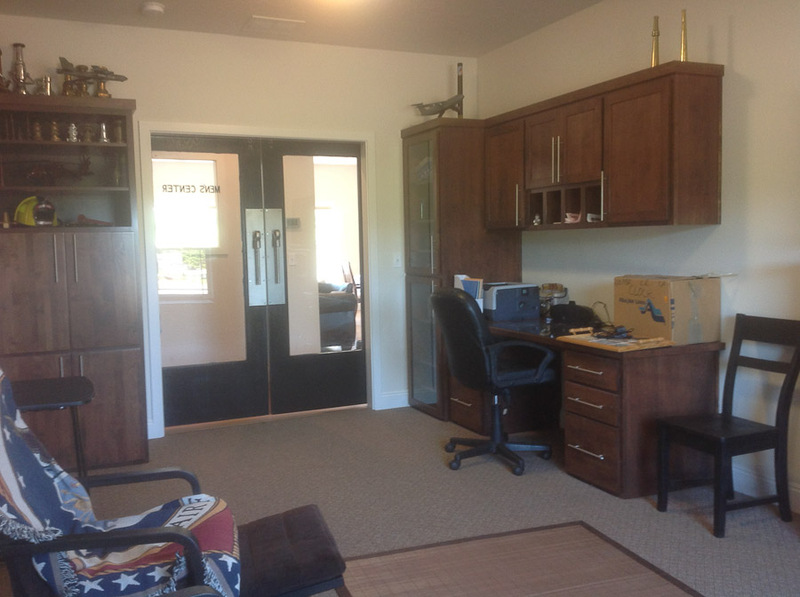 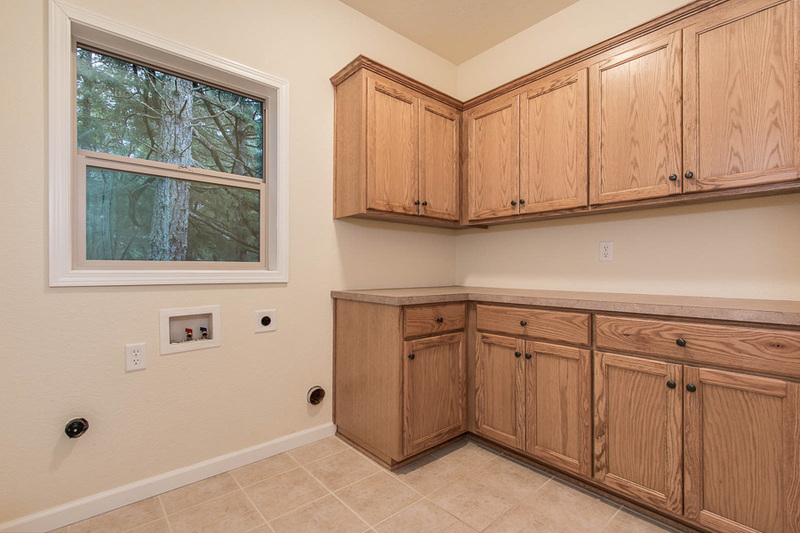 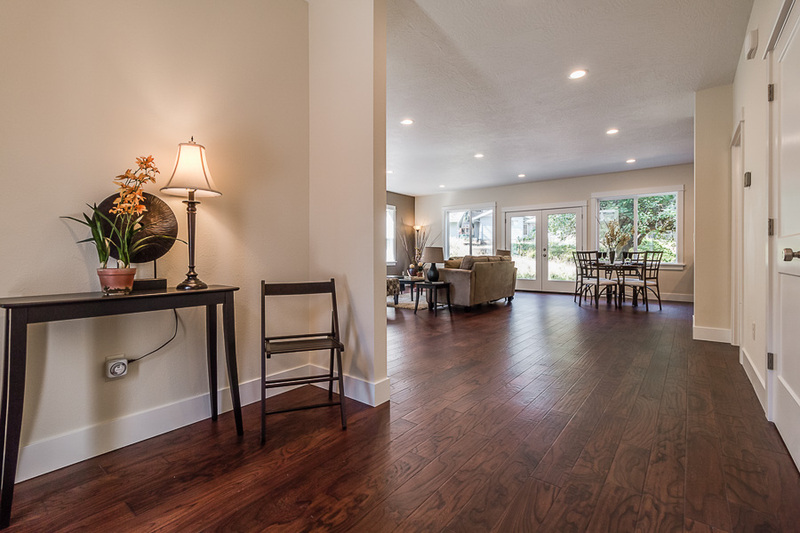 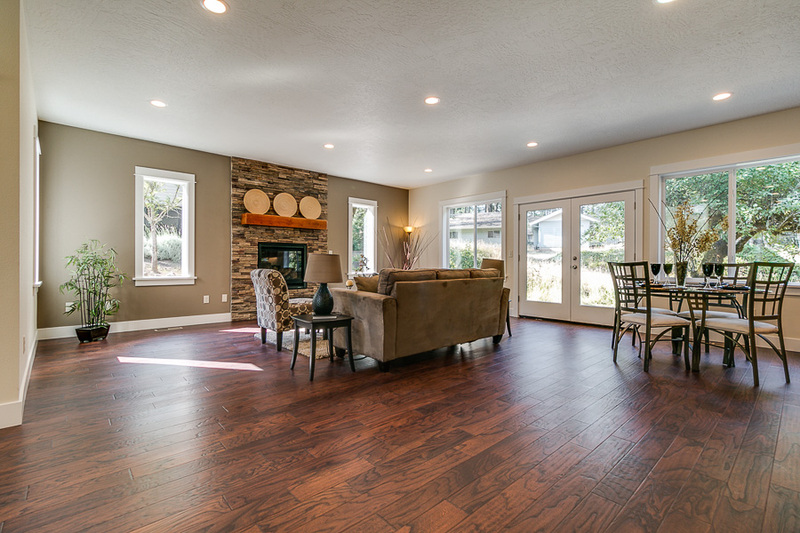 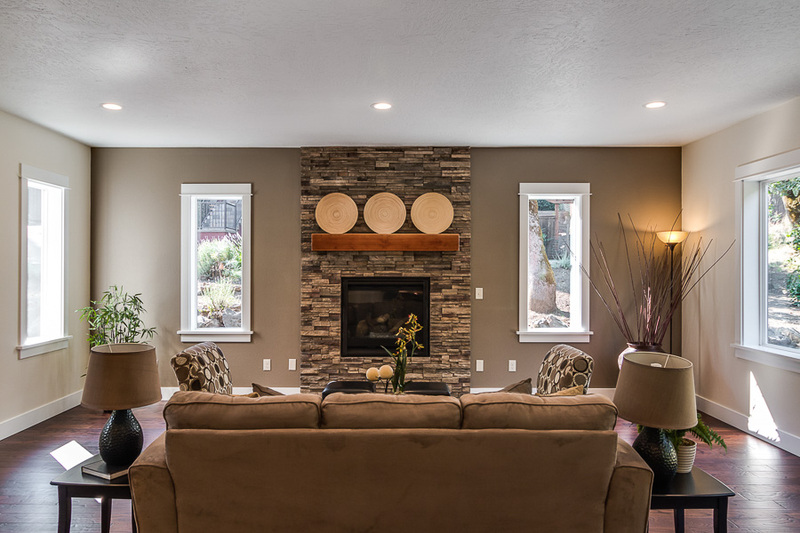 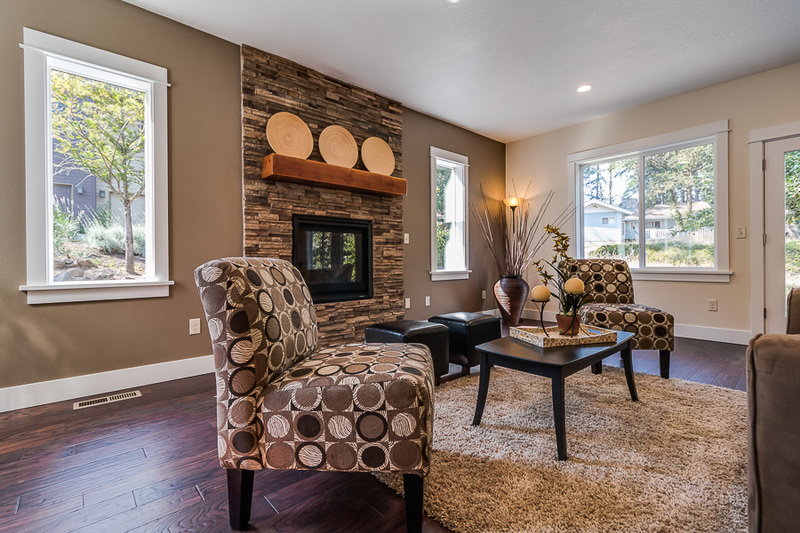 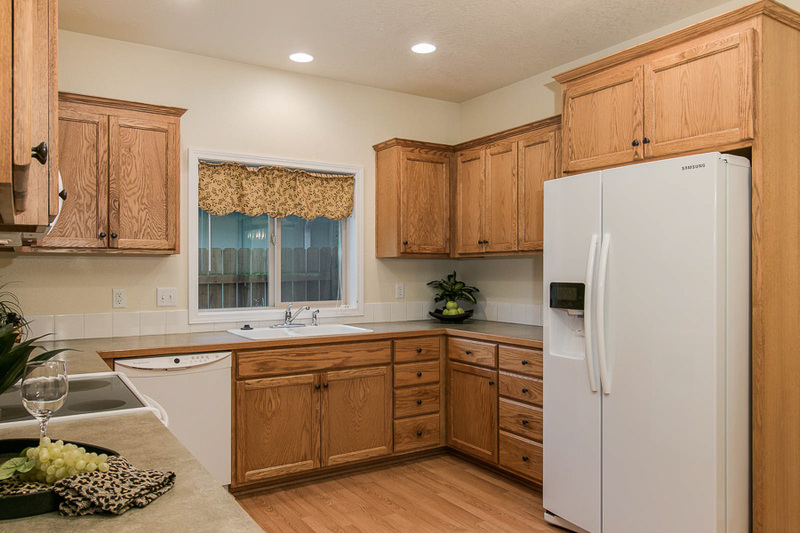 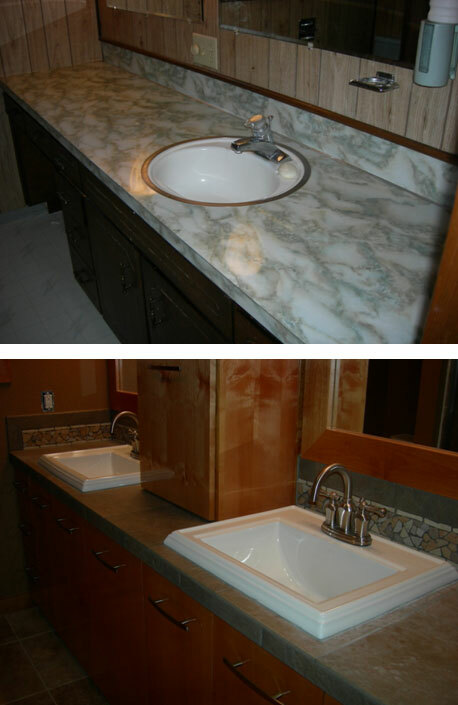 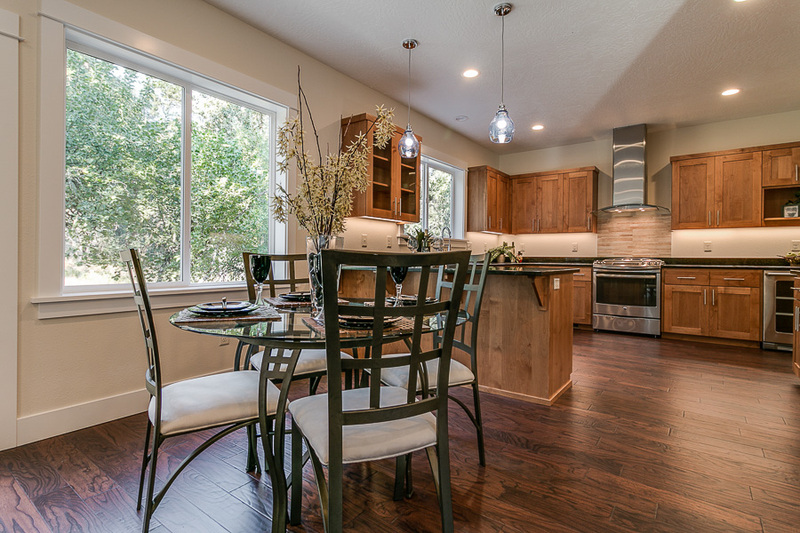 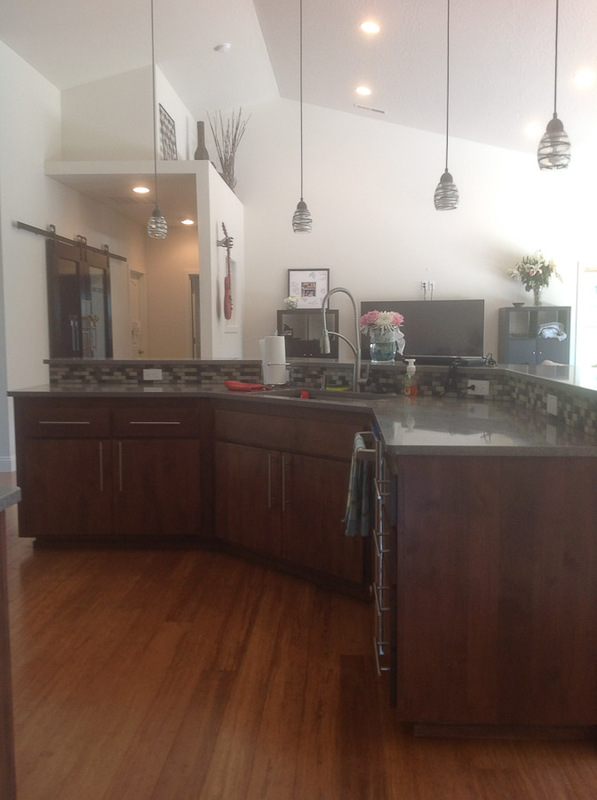 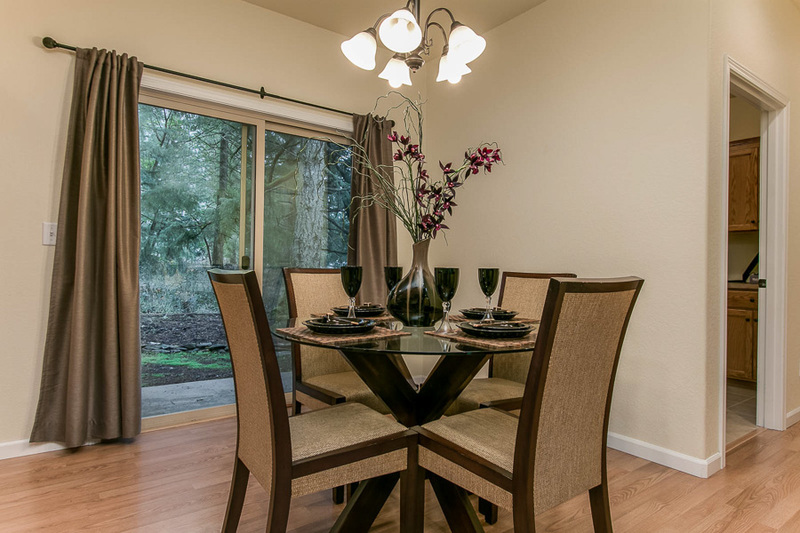 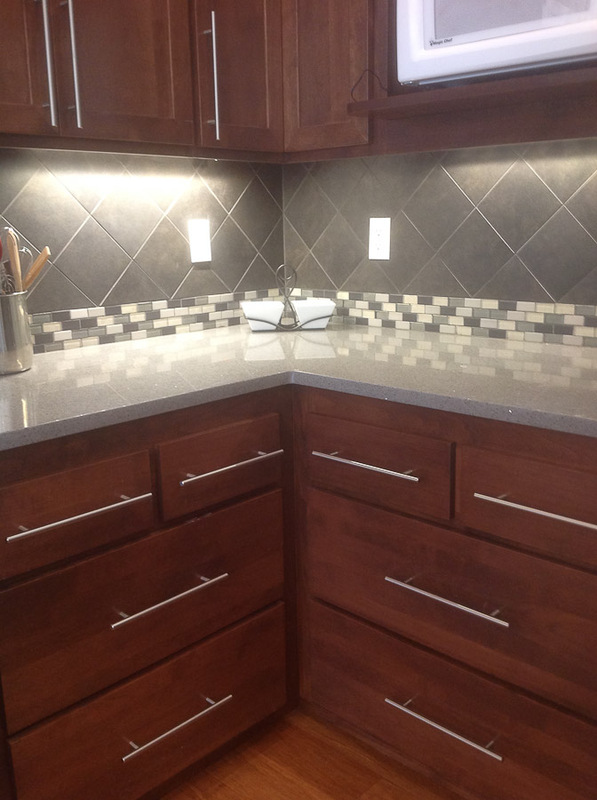 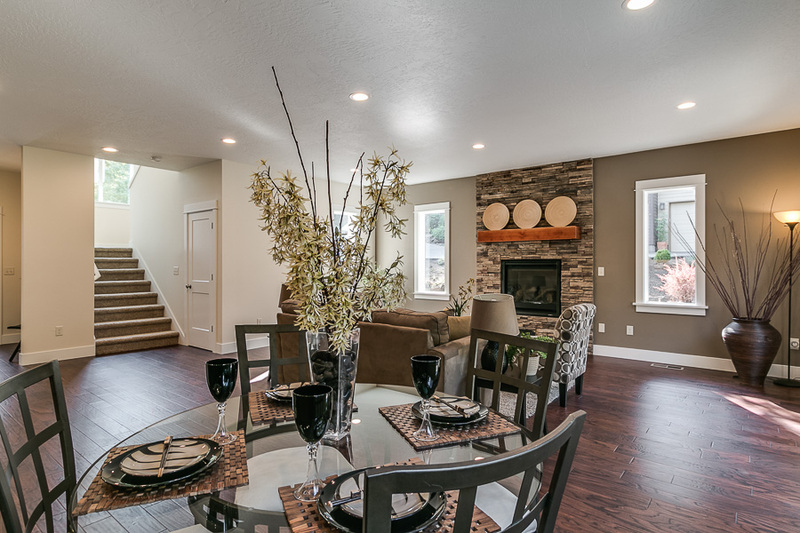 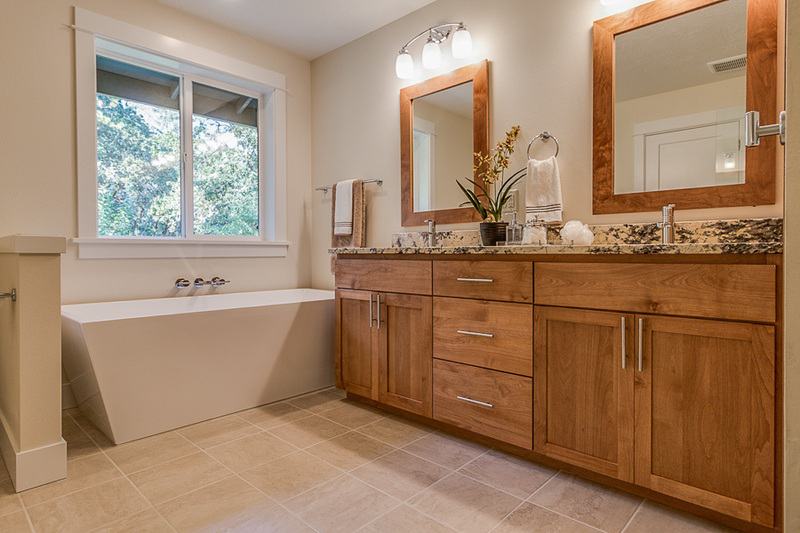 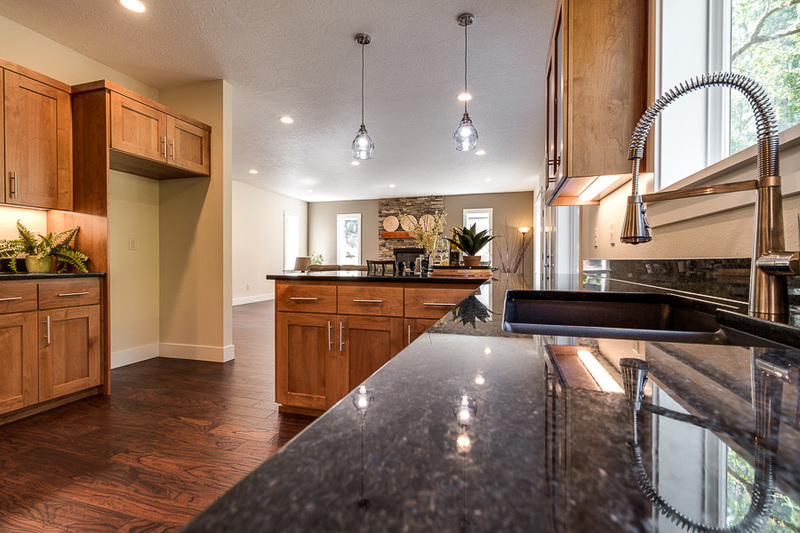 Custom alder cabinets blend with these materials to create a very welcoming, warm atmosphere. 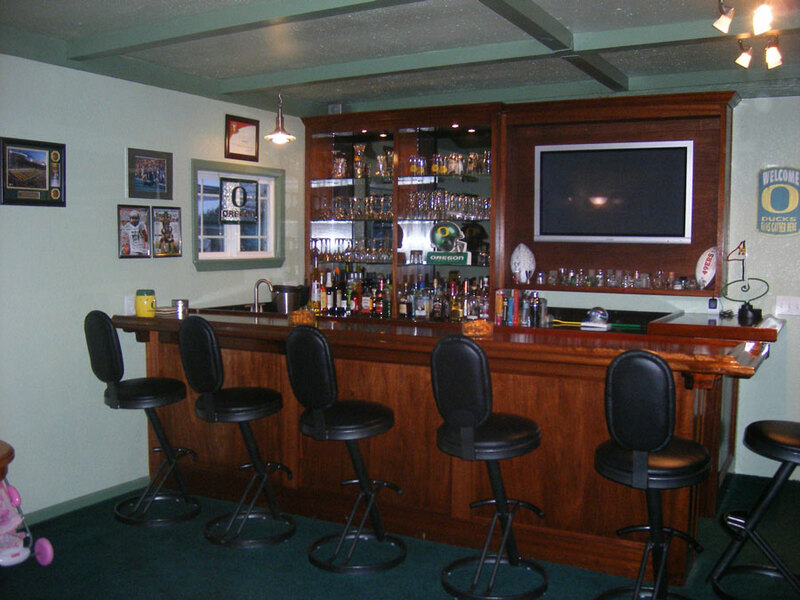 Homeowner quote: "Building the bar has already paid for itself many times over. 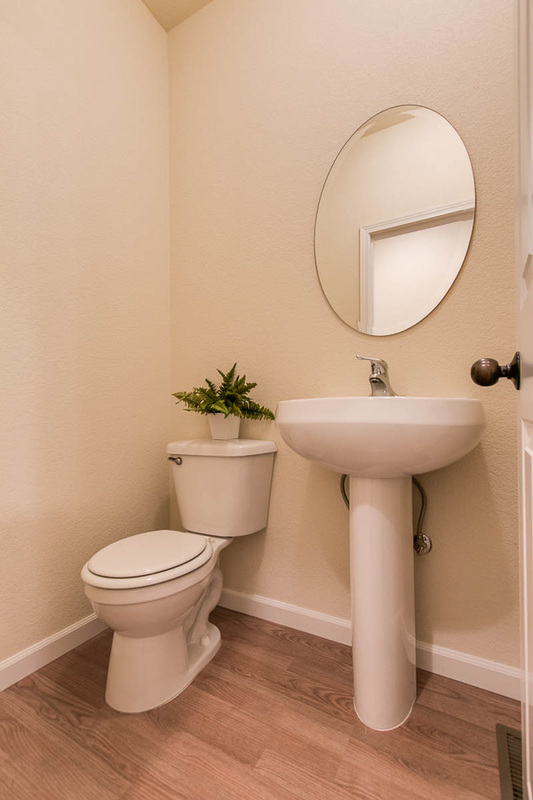 The change to the bathroom is incredible. 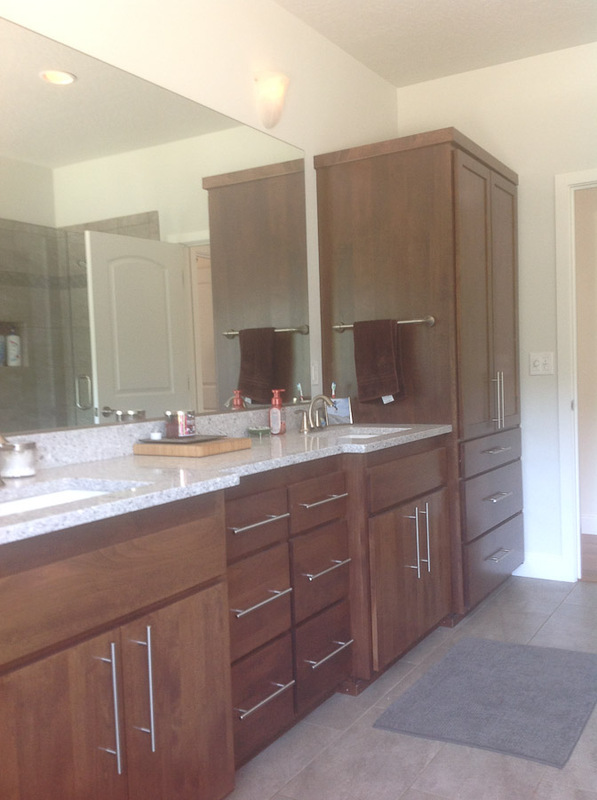 We couldn't believe you guys reused our old mirrors and framed them with the same finished wood as our new cabinets. 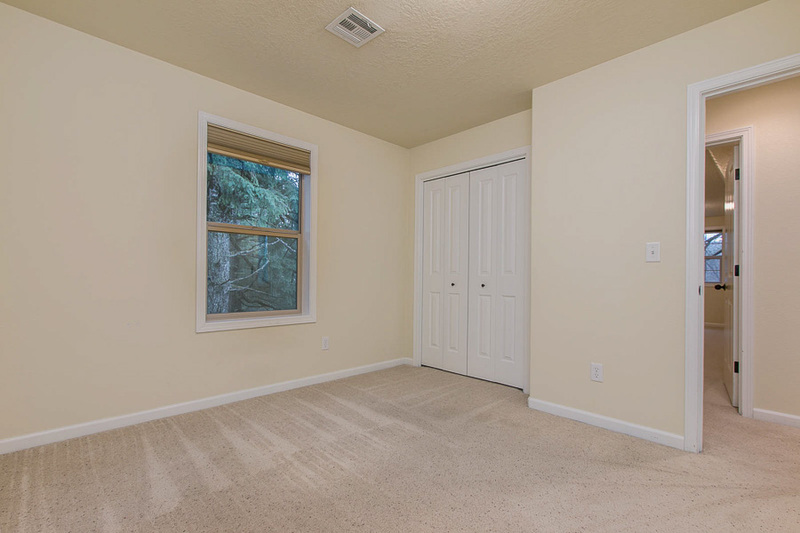 They look nothing like they did, no one would ever know. 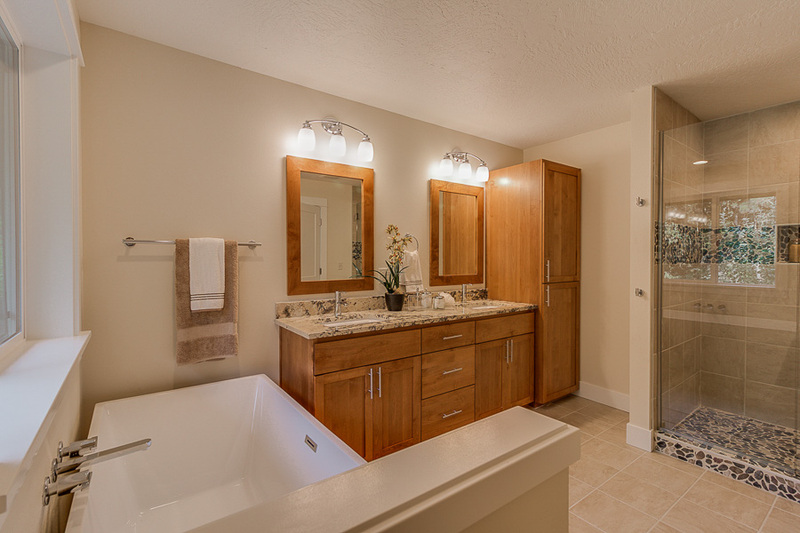 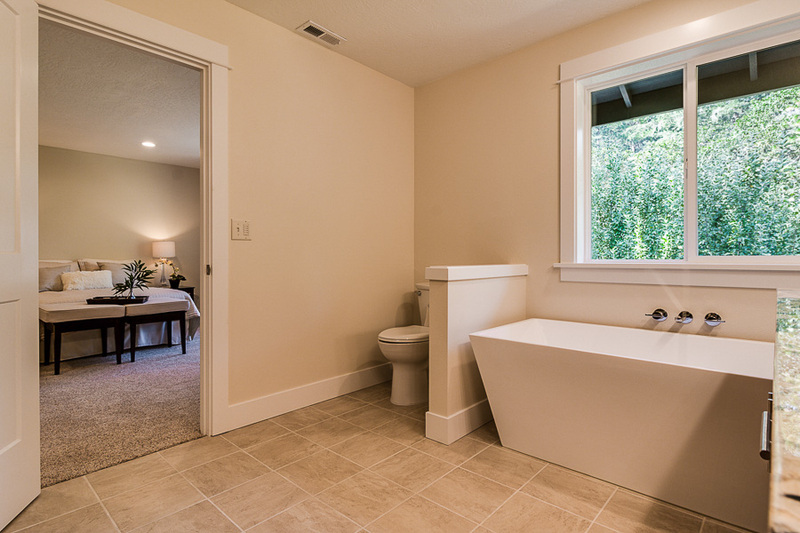 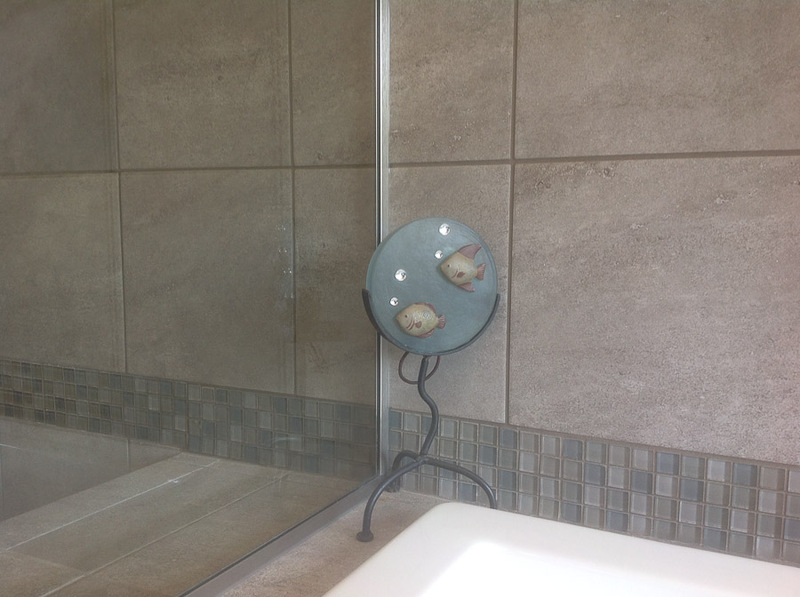 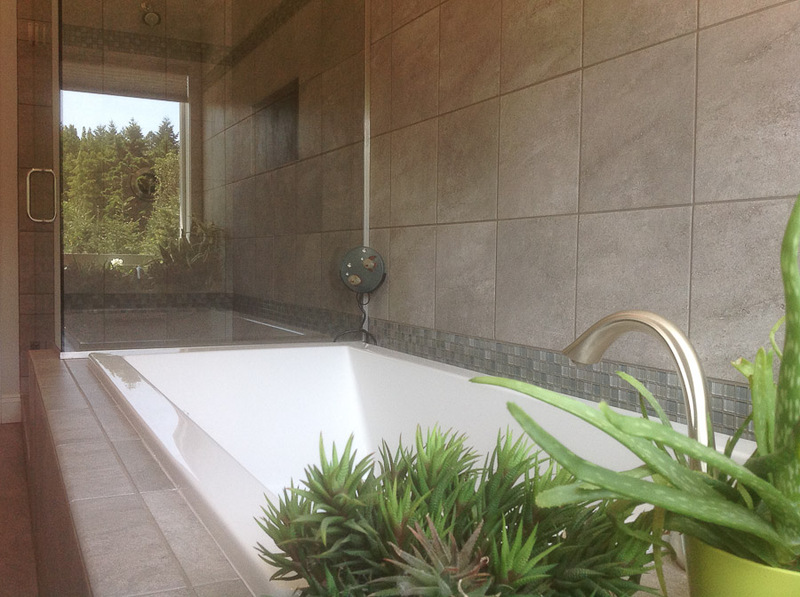 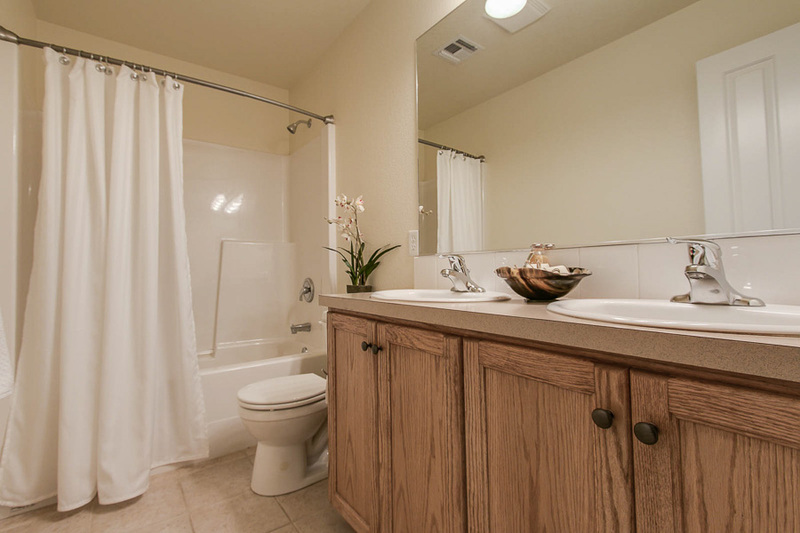 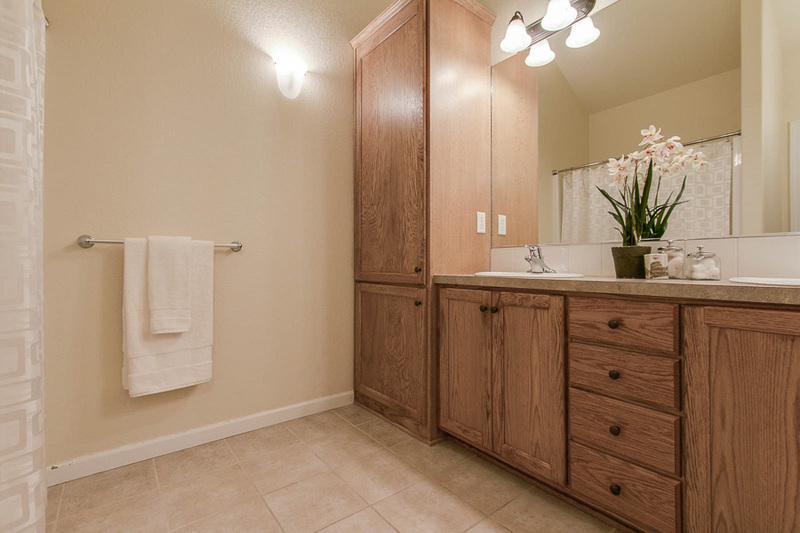 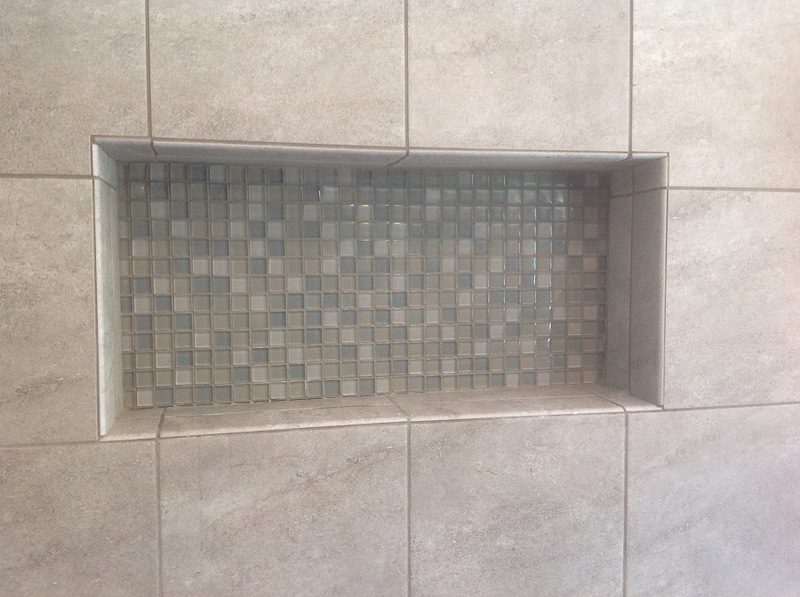 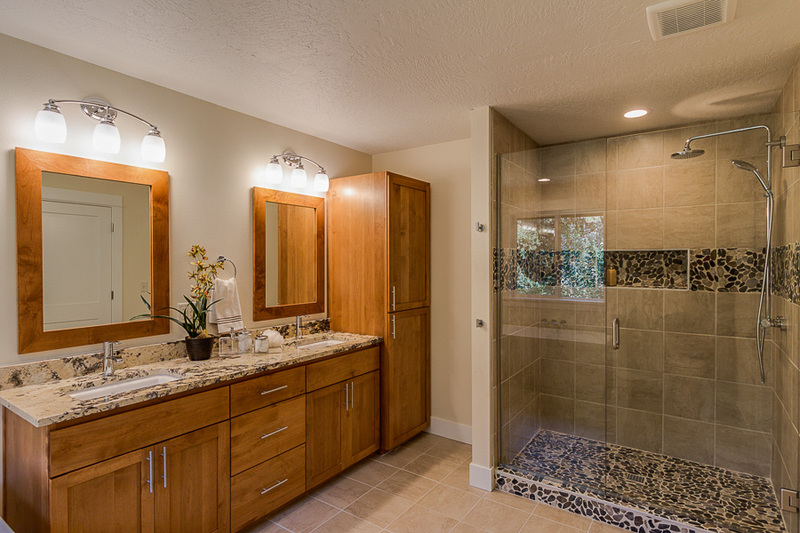 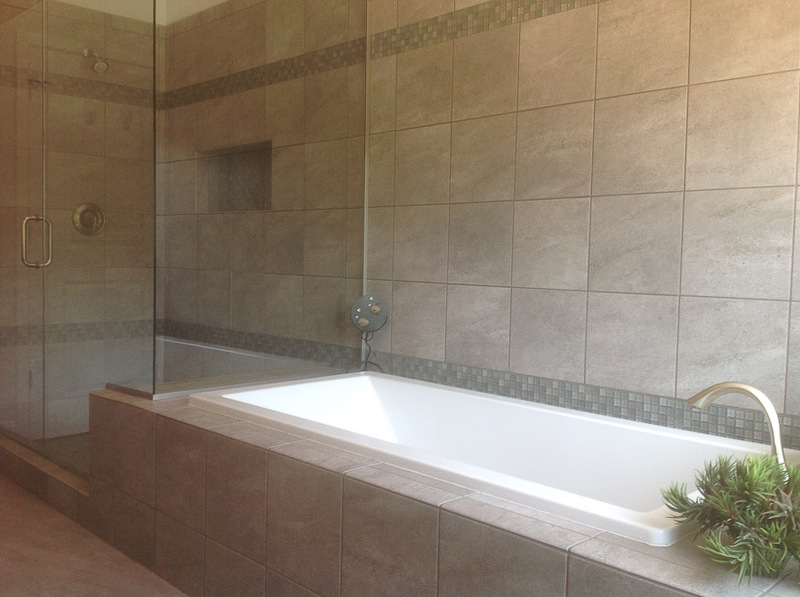 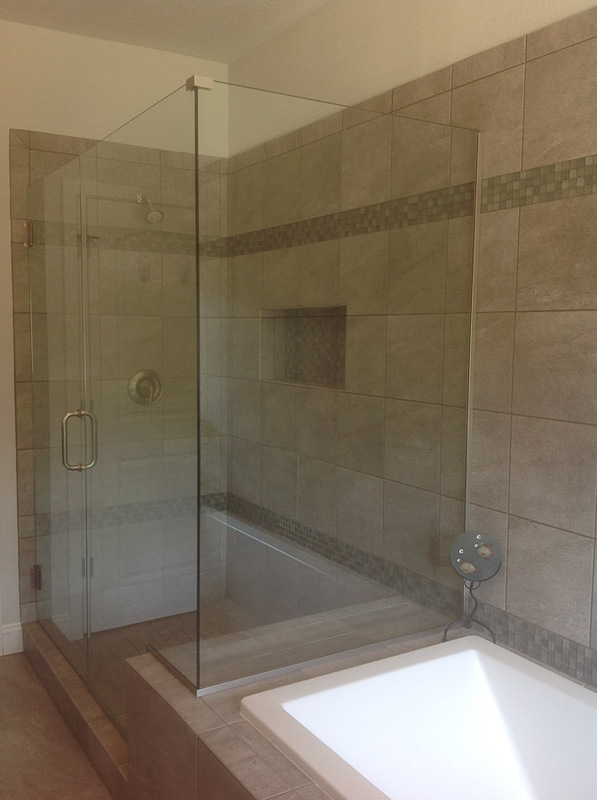 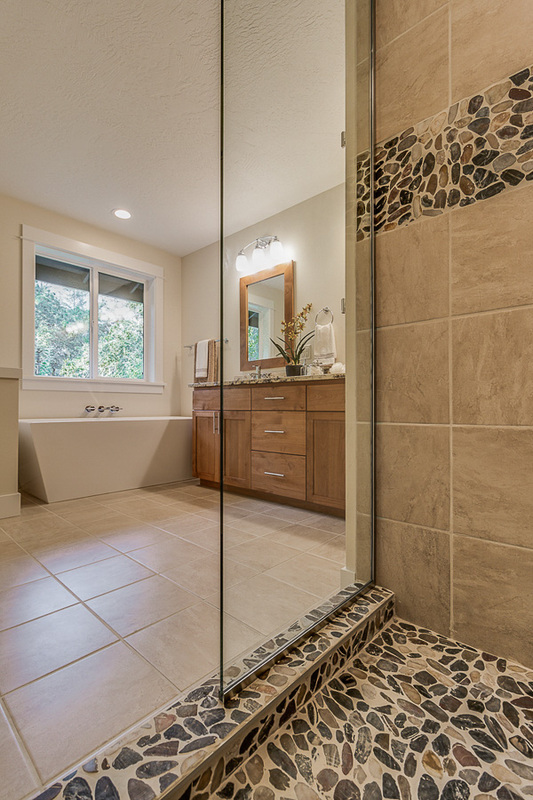 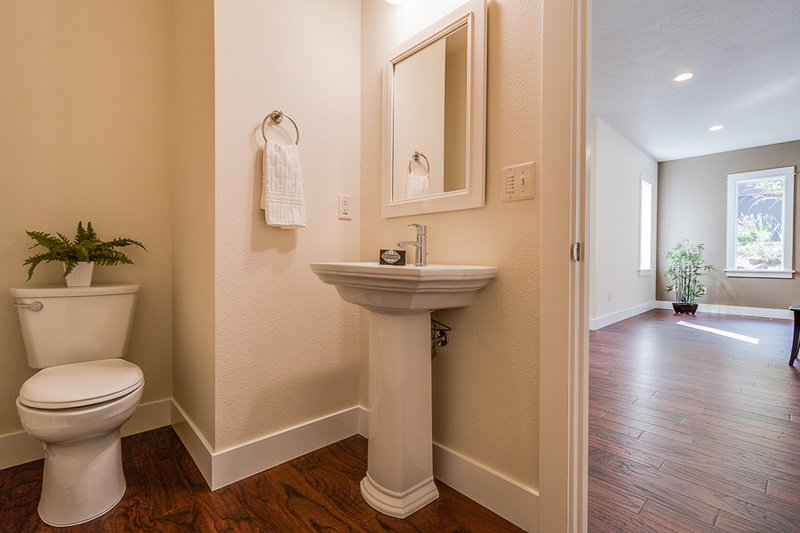 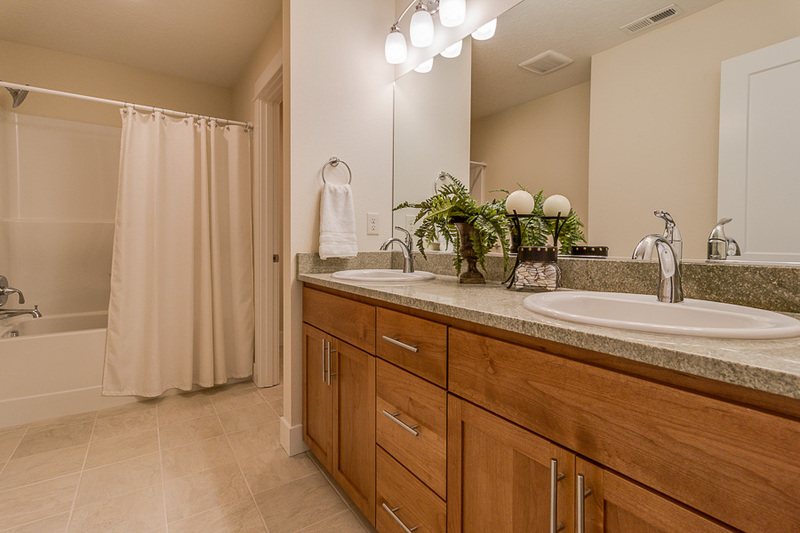 Our bathroom is now a comfortable space we look forward to using." 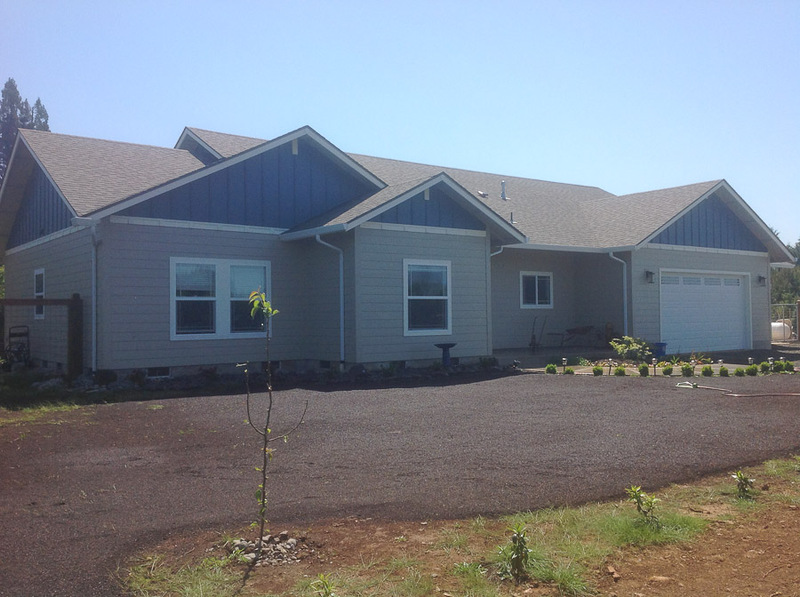 We built this house in 2007. 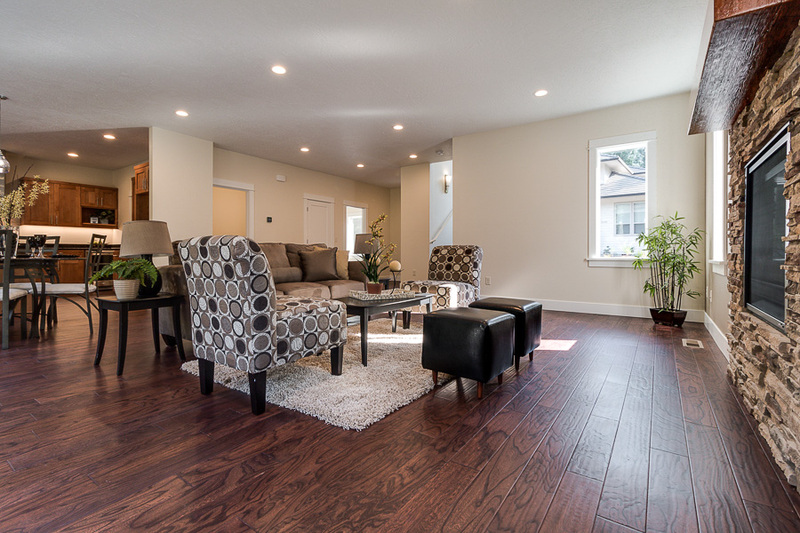 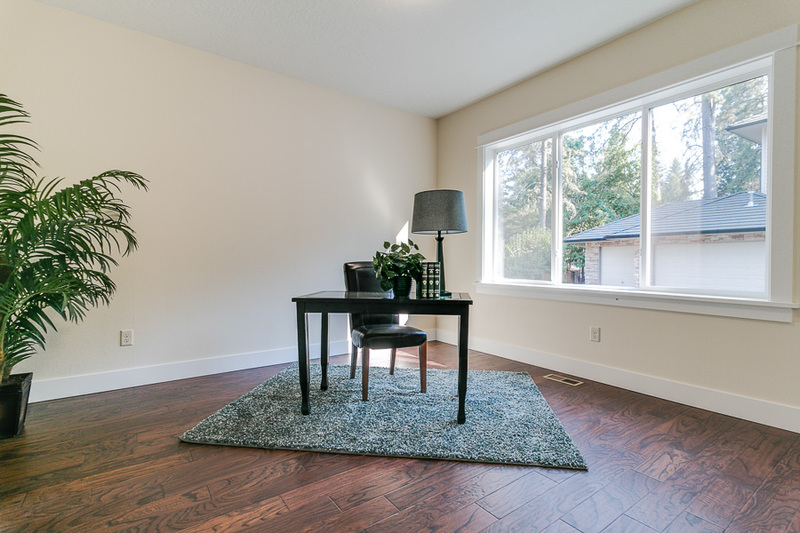 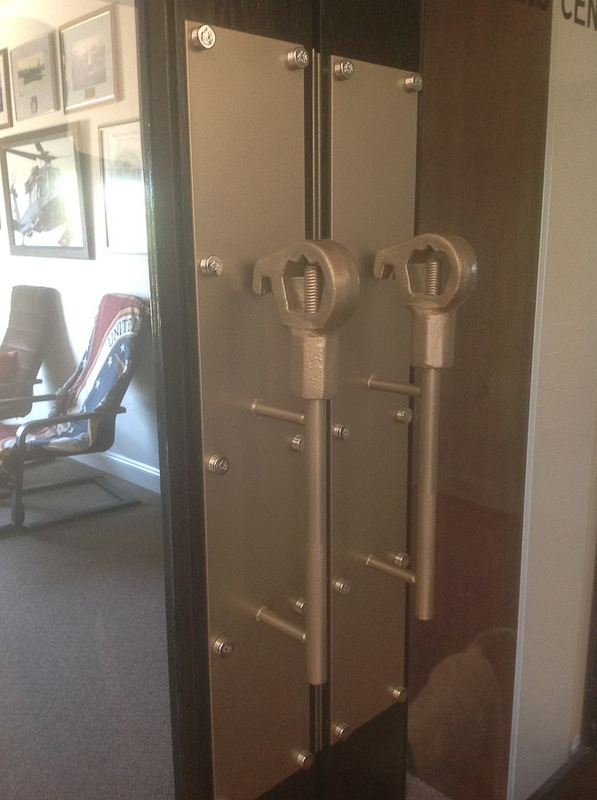 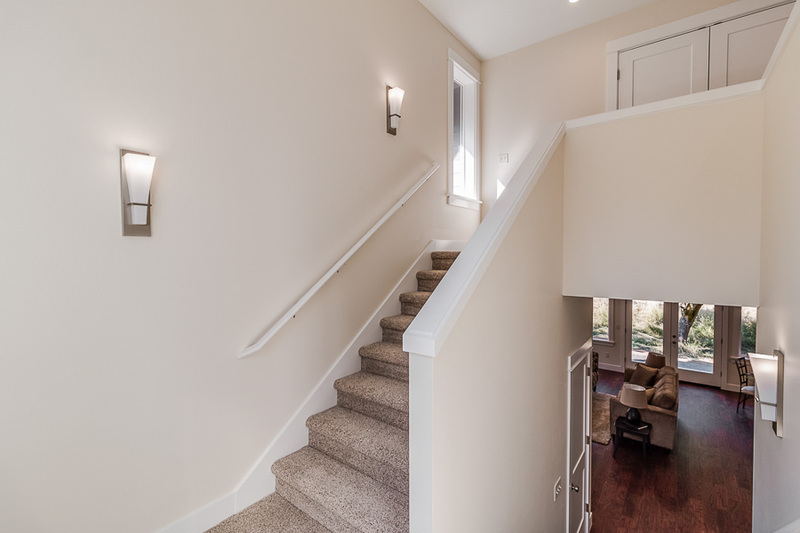 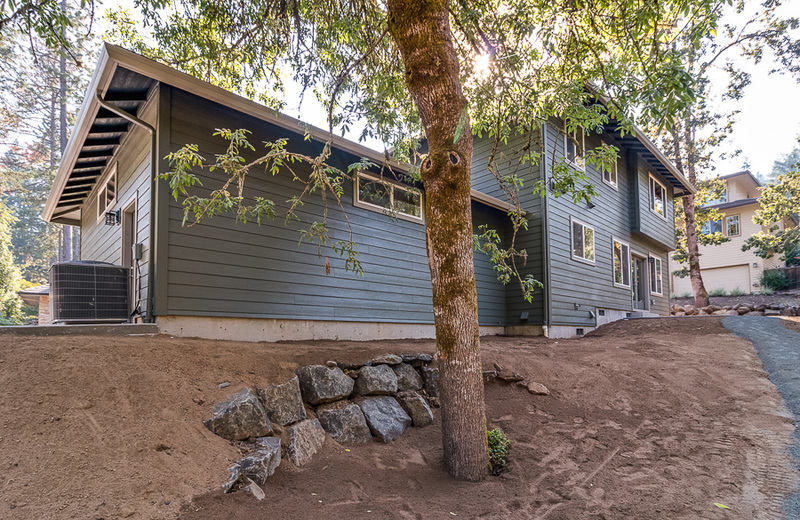 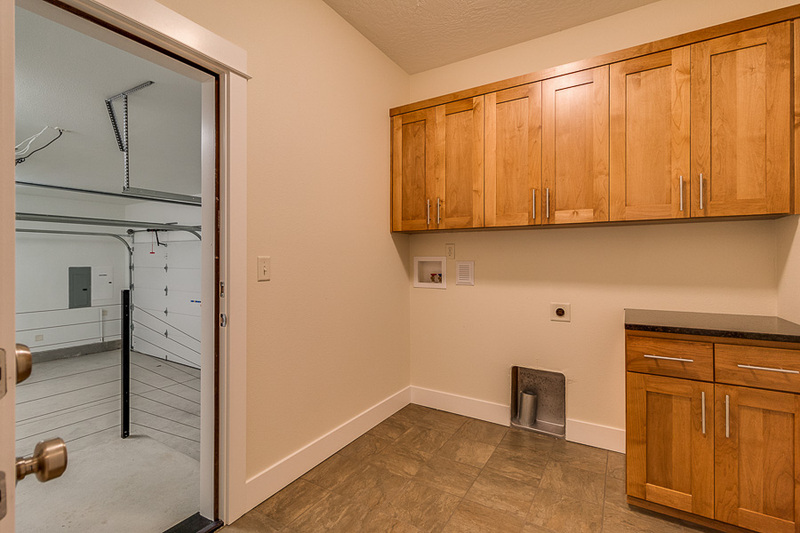 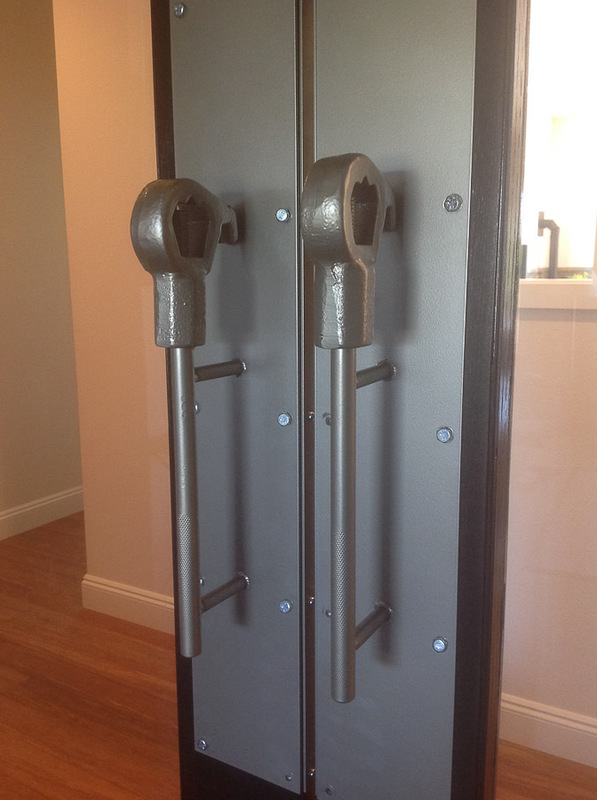 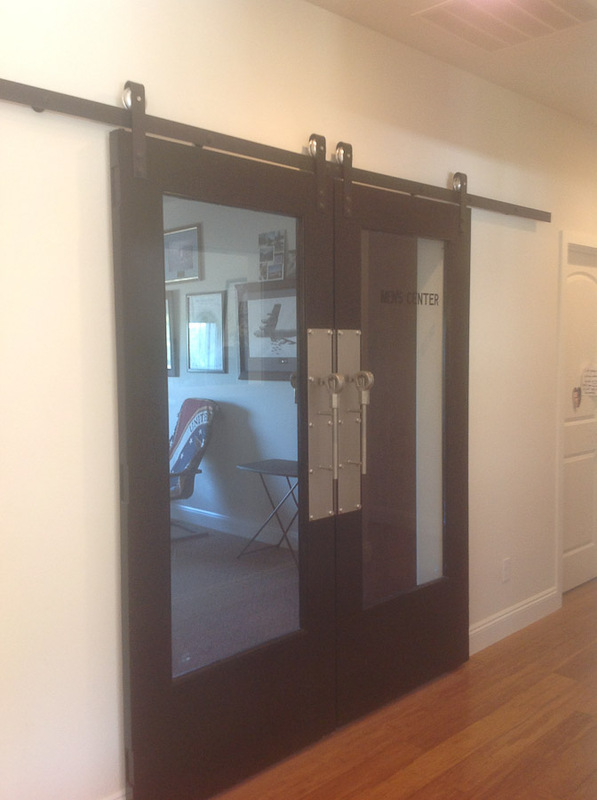 We designed it with a main floor master and three foot wide doors on the first floor to accommodate wheelchair accessibility for potential homeowners. 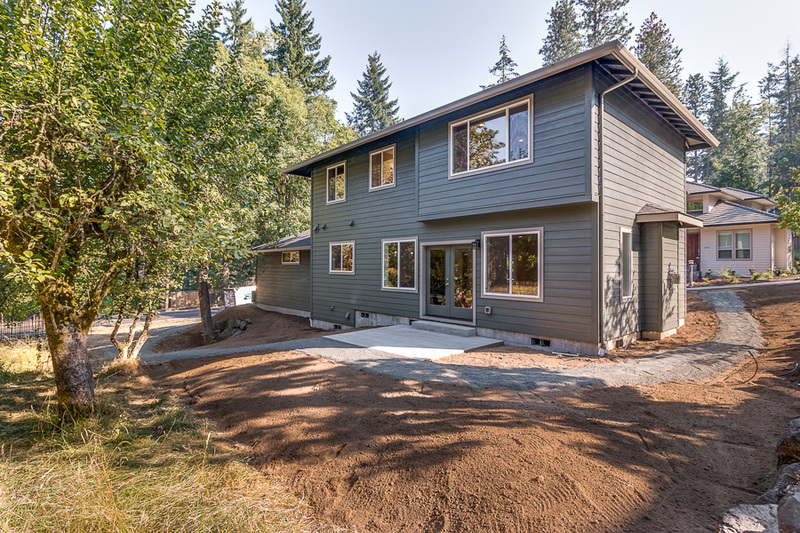 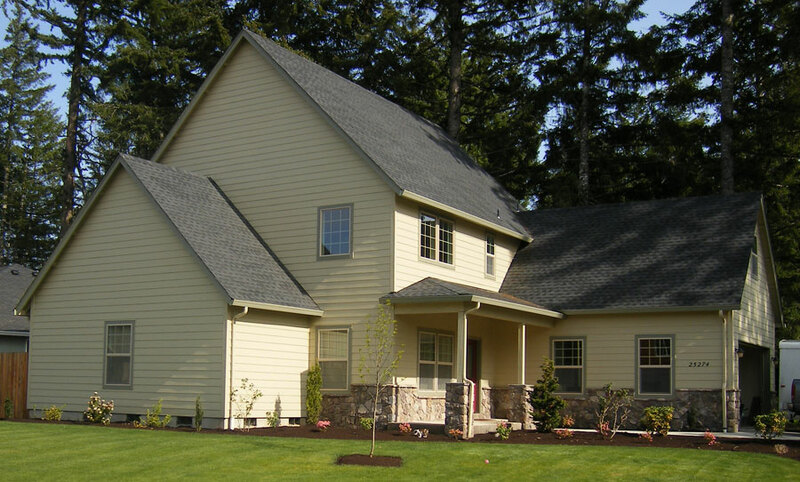 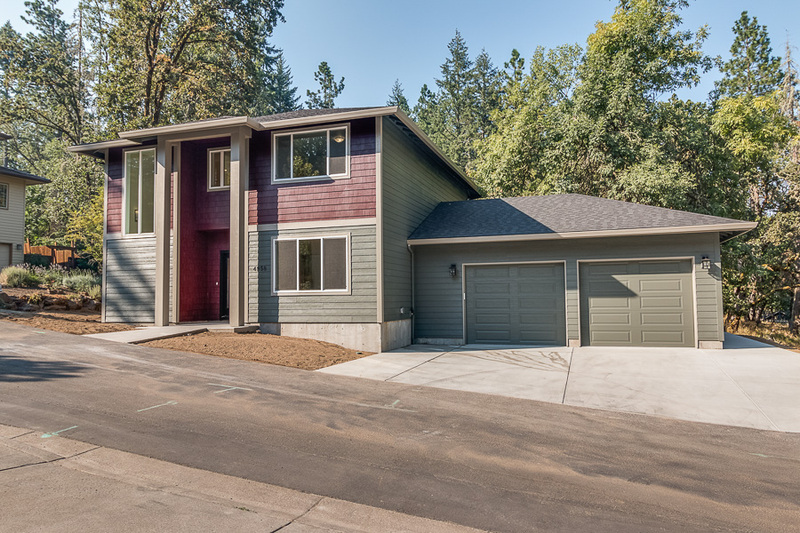 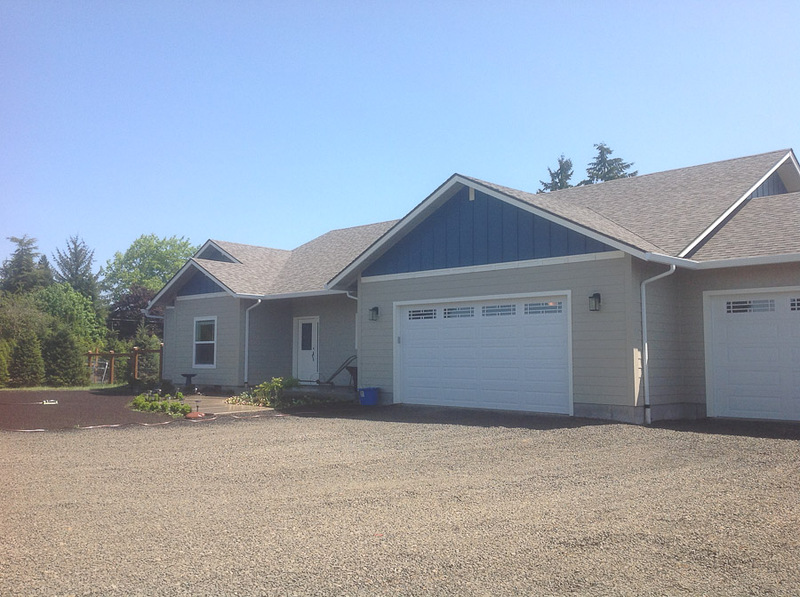 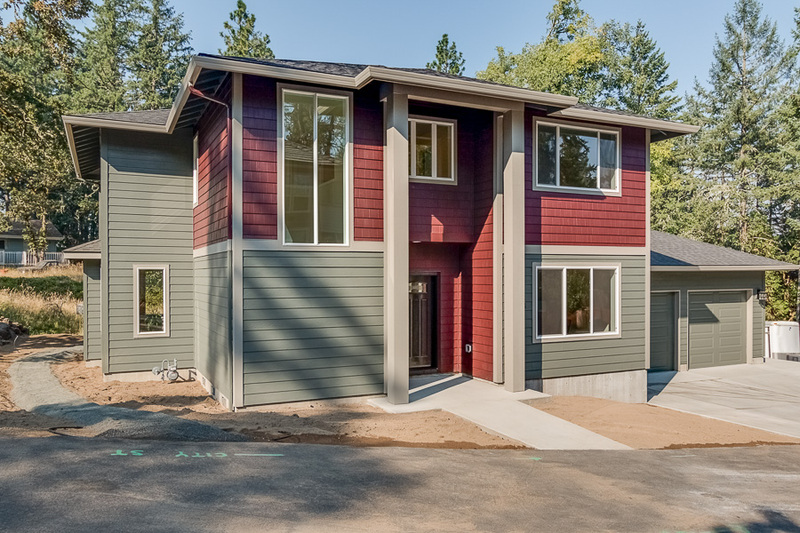 The exterior is beautiful, with a tall roofline that fits well with the many fir trees on the property. 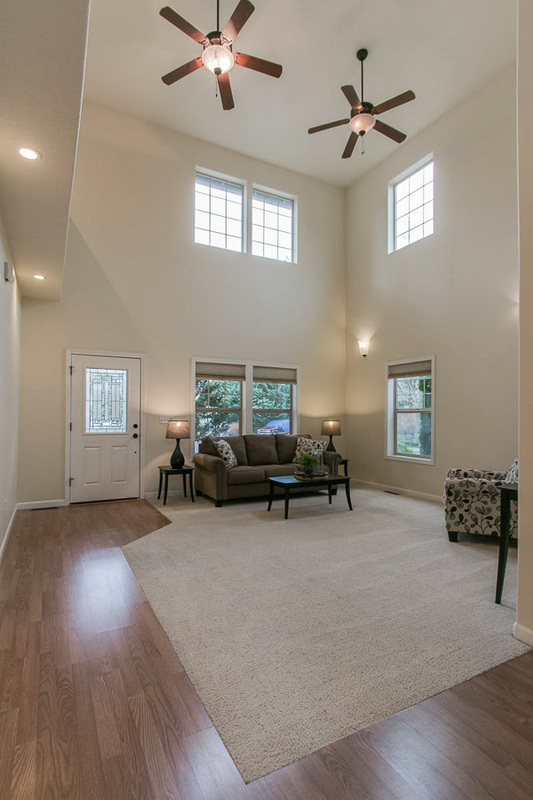 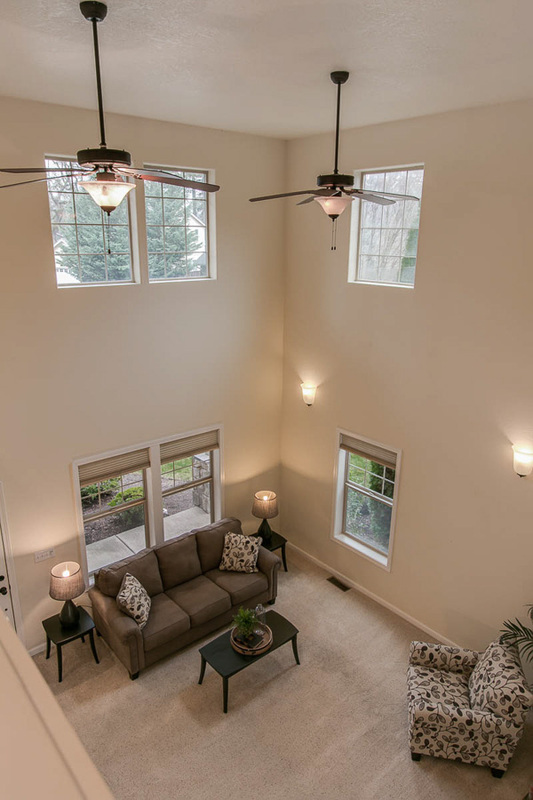 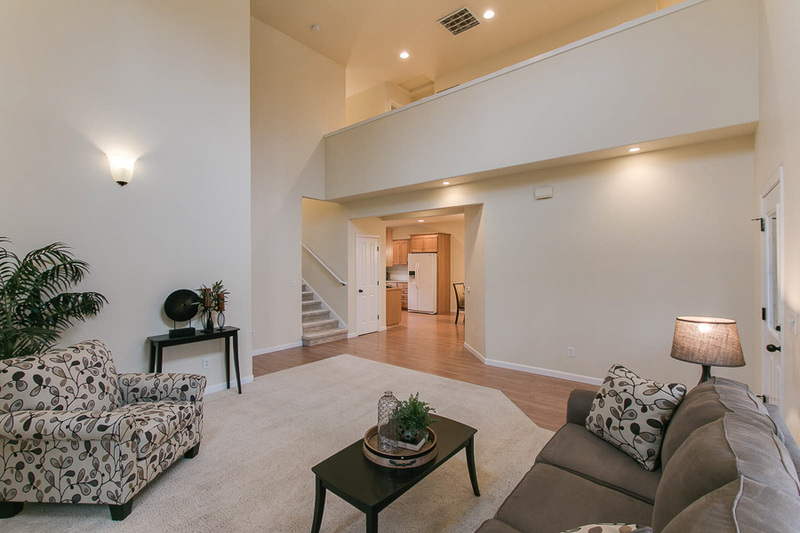 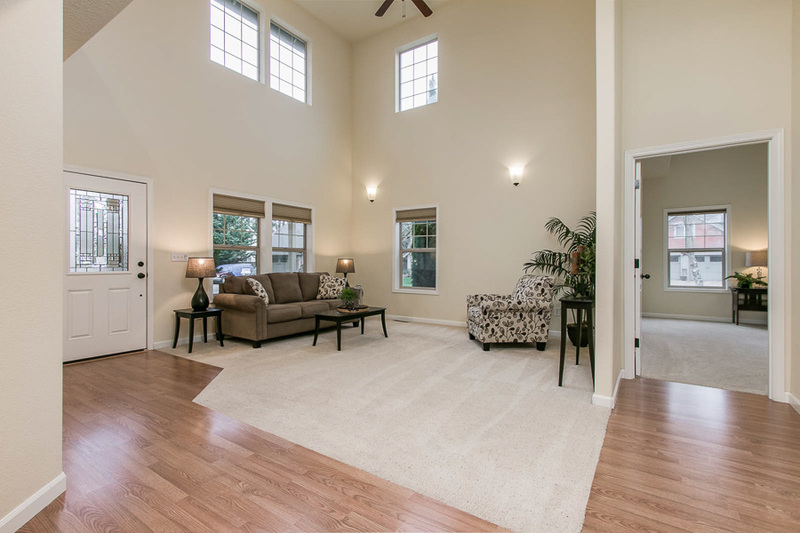 Inside, 18 foot ceilings soar in the entry and great room with a balcony upstairs overlooking both. 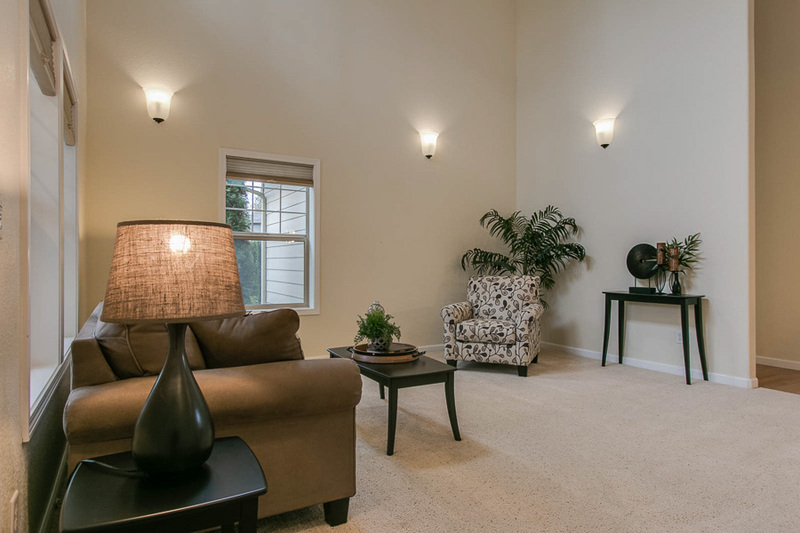 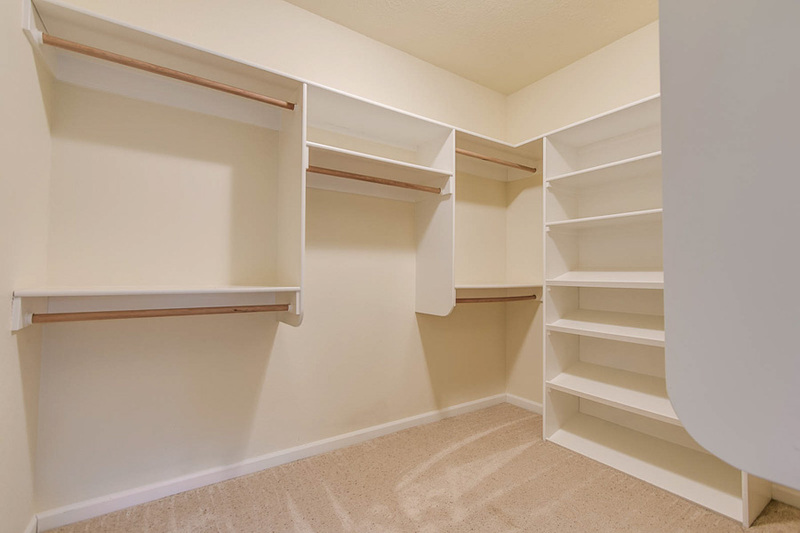 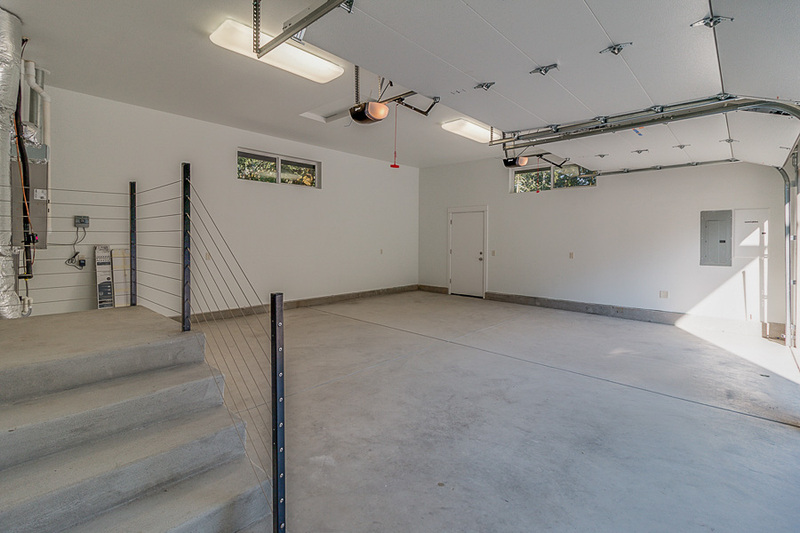 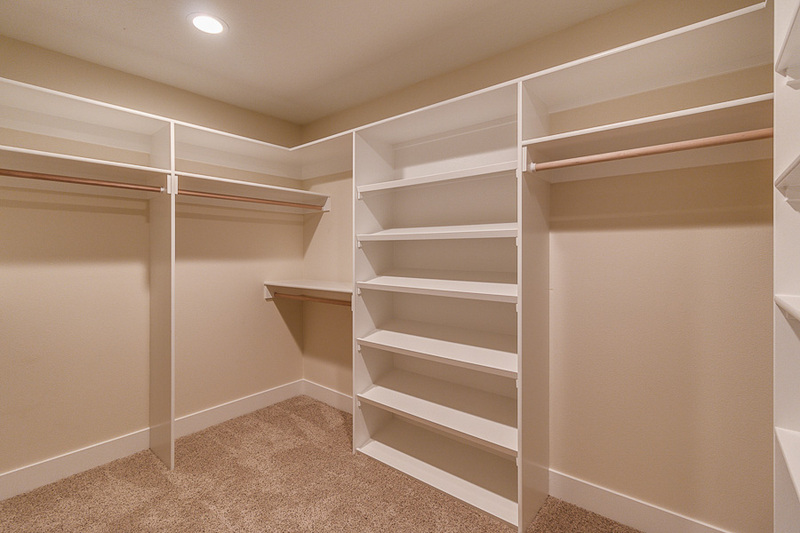 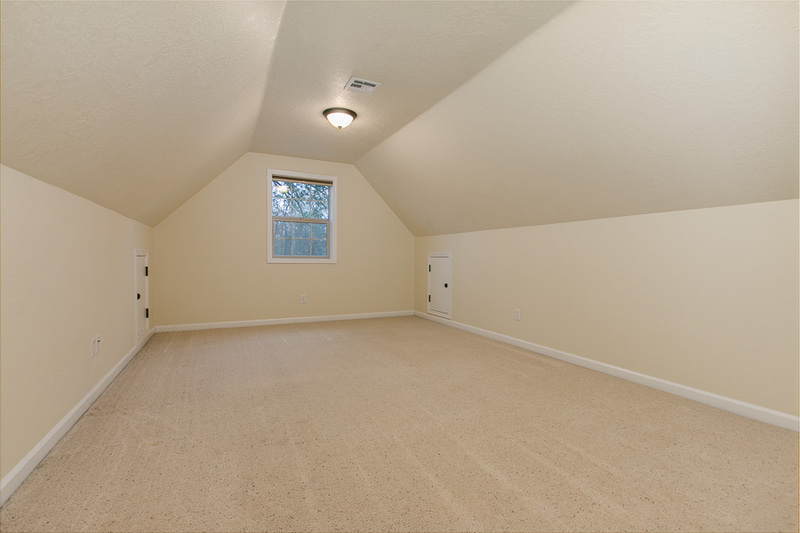 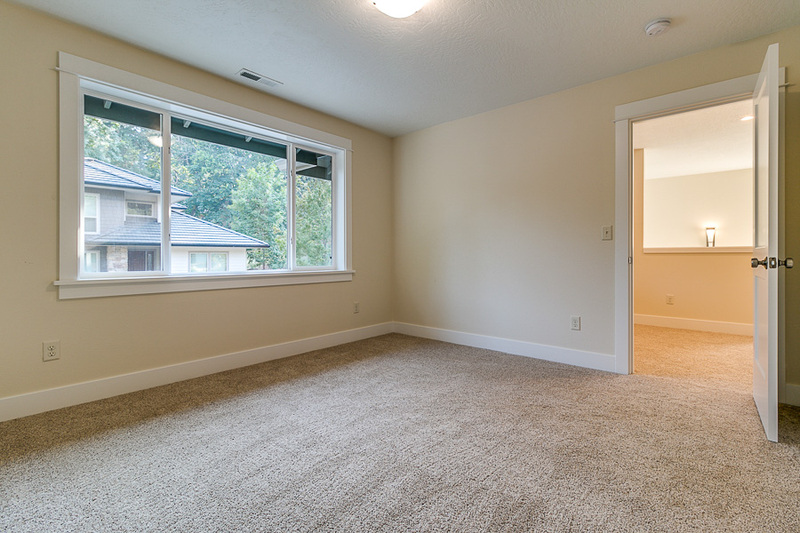 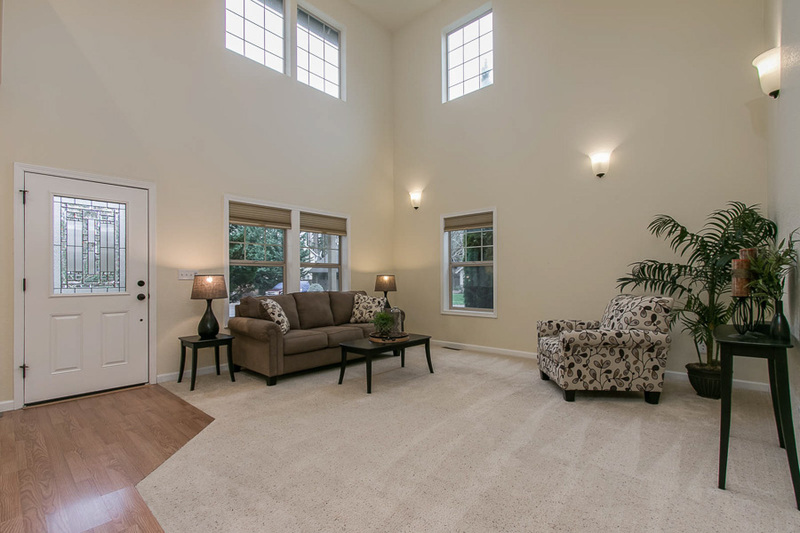 A bonus room over the garage adds significant, flexible space. 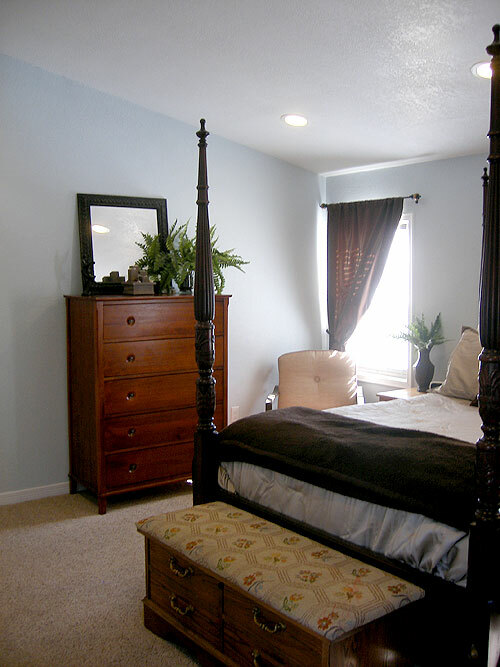 The home has some very dramatic elements, while maintaining a very comfortable and livable atmosphere.